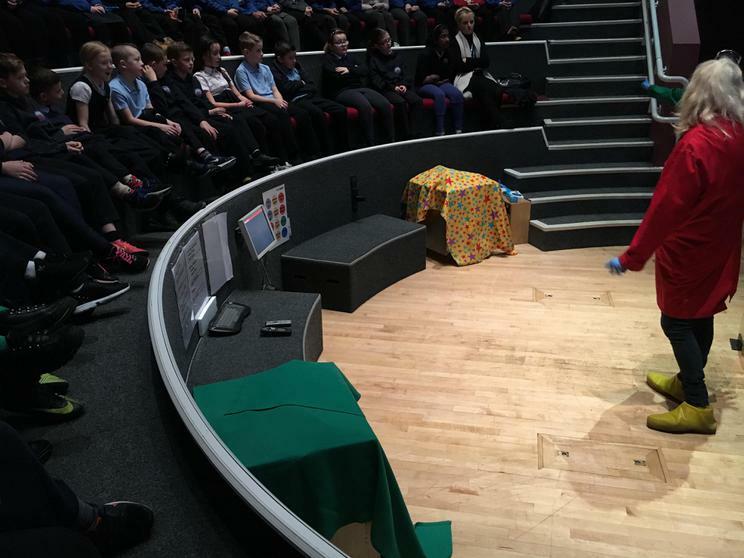 Thank you to Mrs Goodman for teaching us a valuable lesson today; CPR, how to save somebody who is choking and putting people in the recovery position. 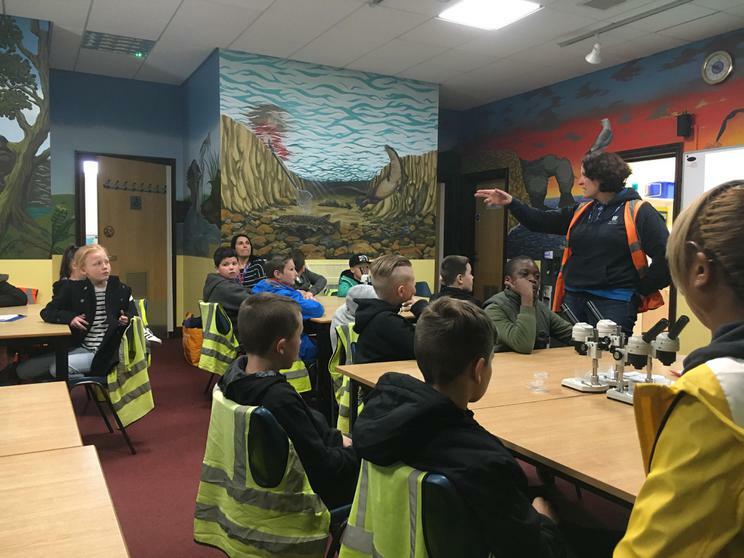 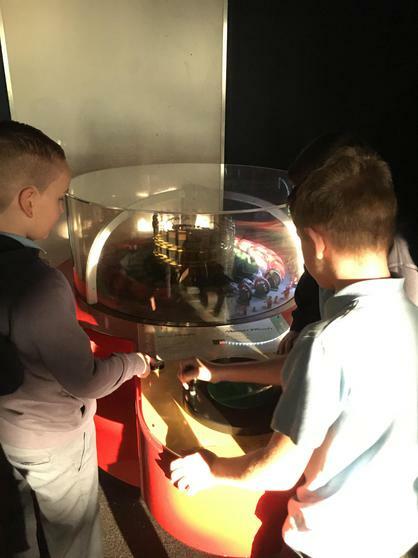  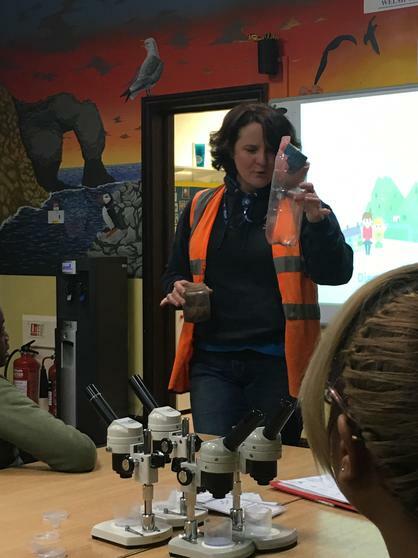 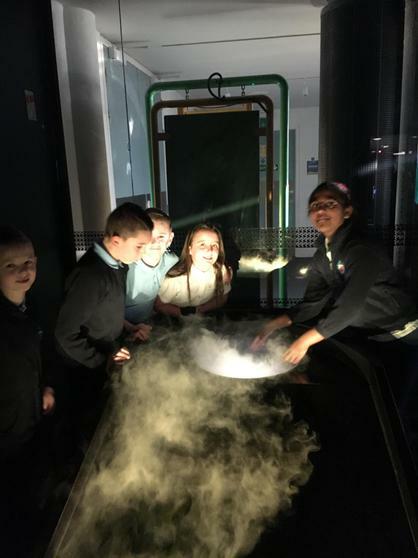 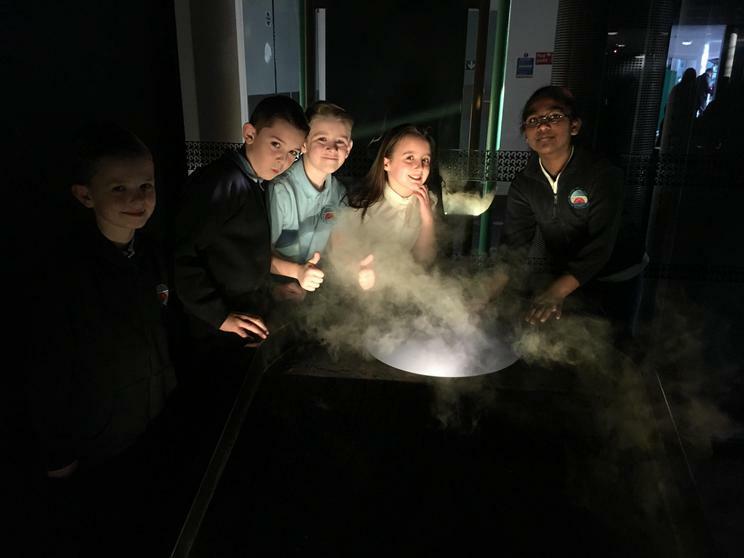 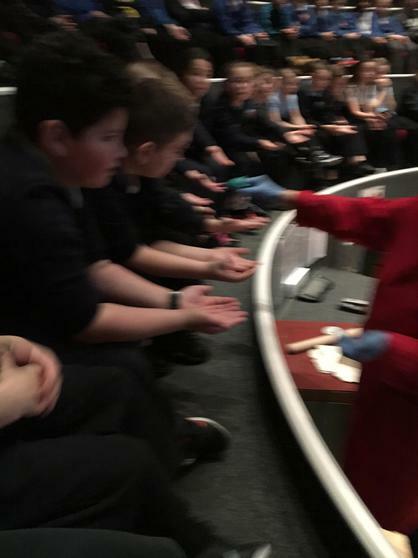 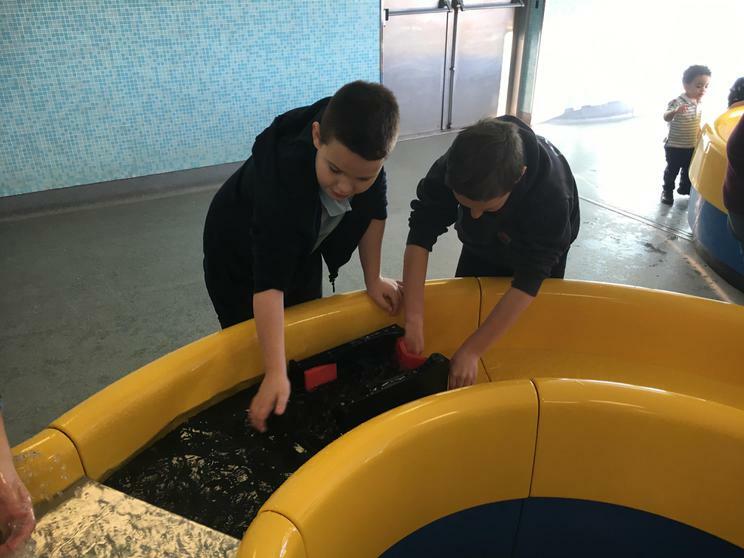 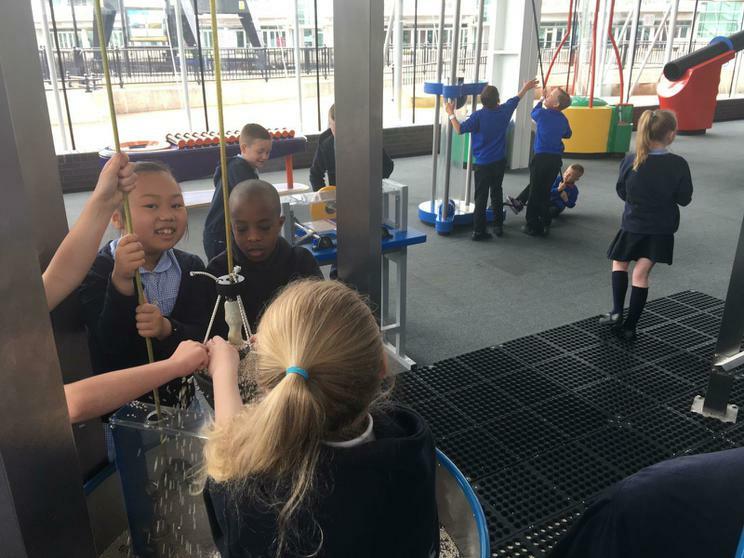 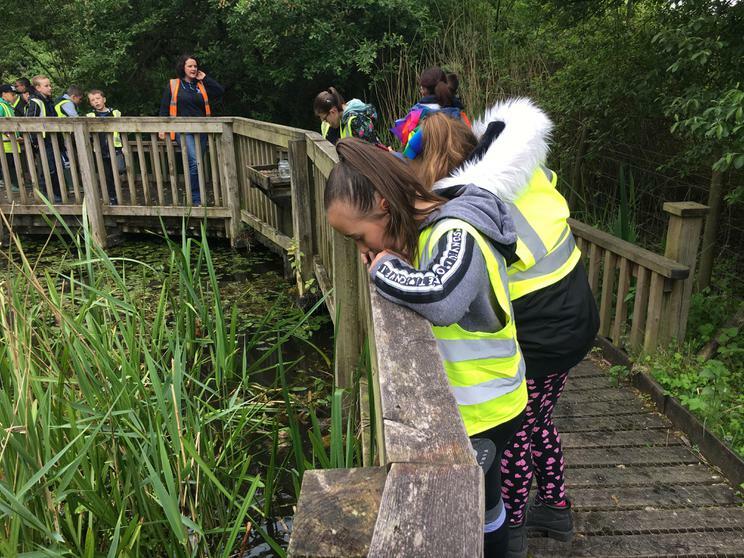 Our visit to Cog Moors. 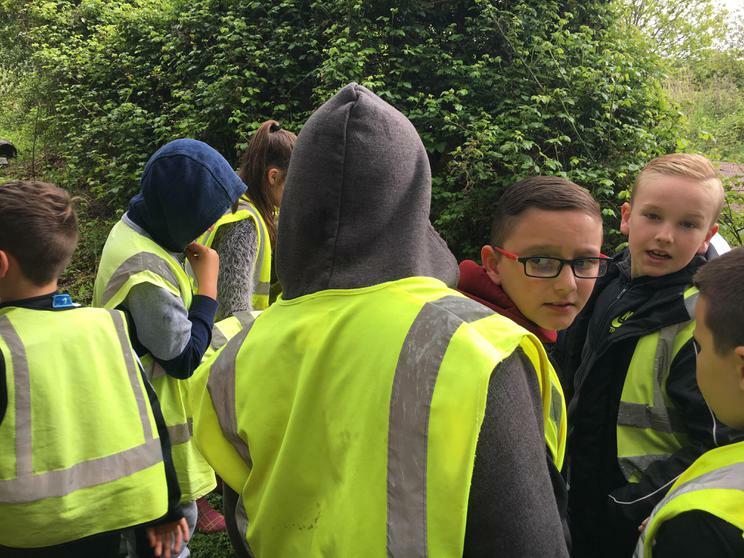 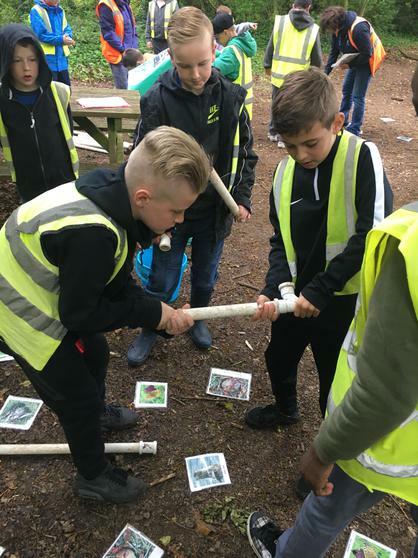 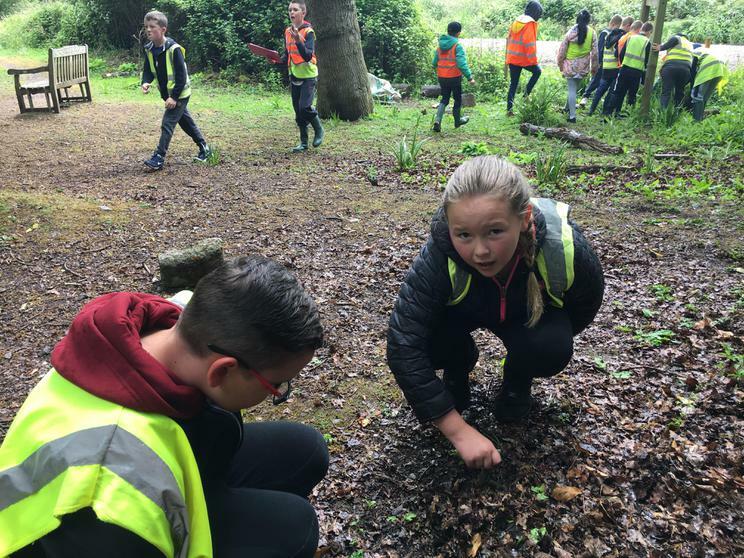 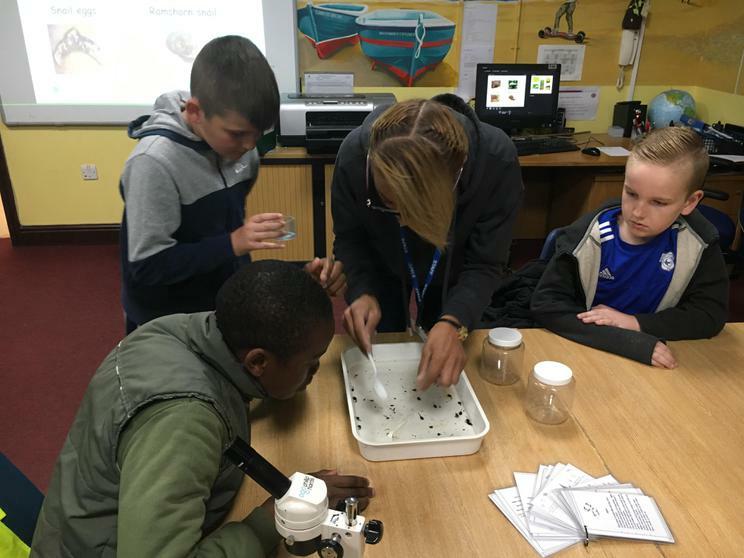 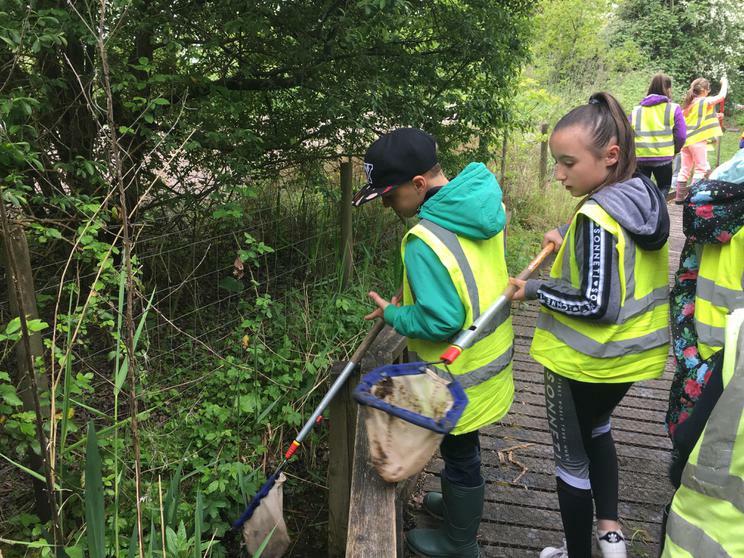 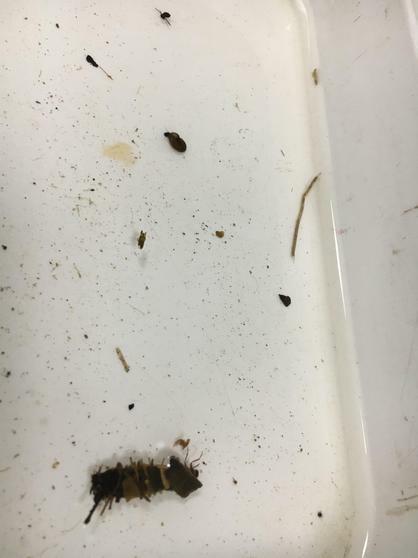 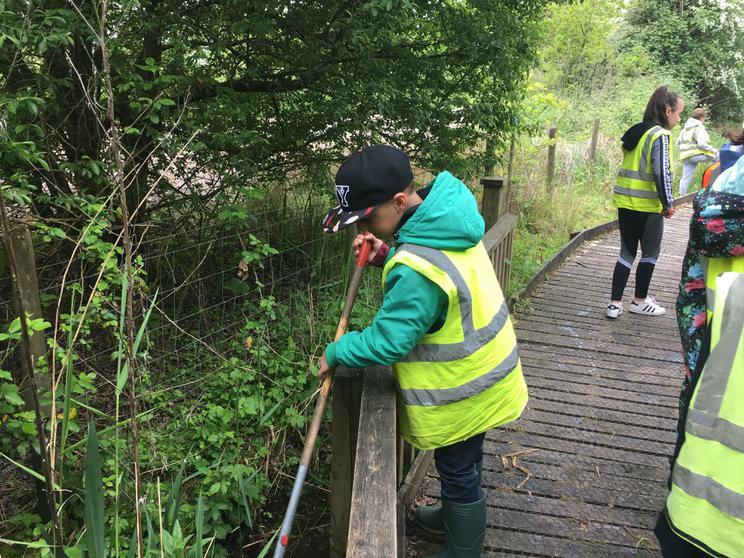 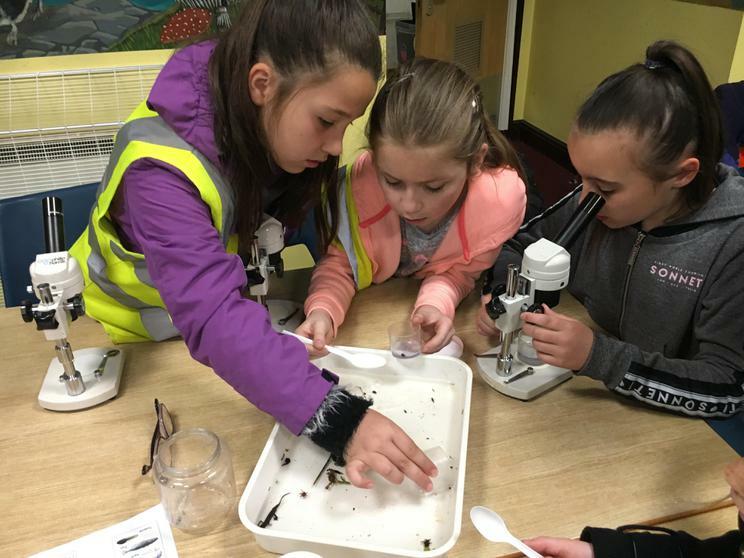 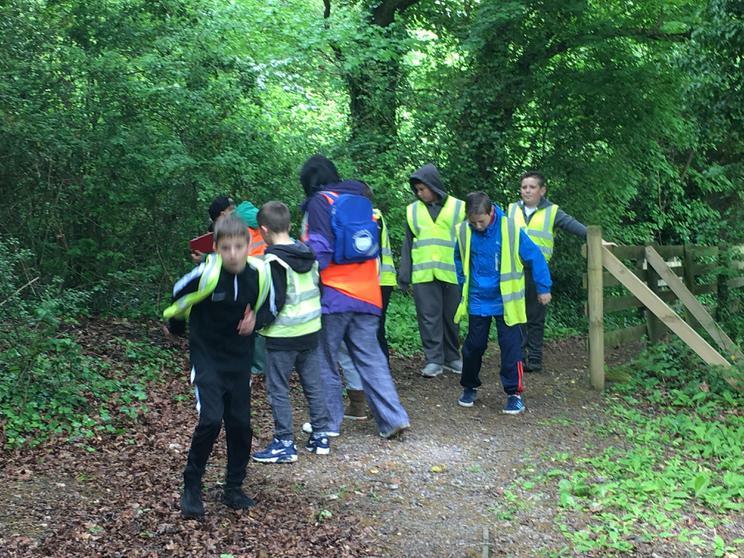 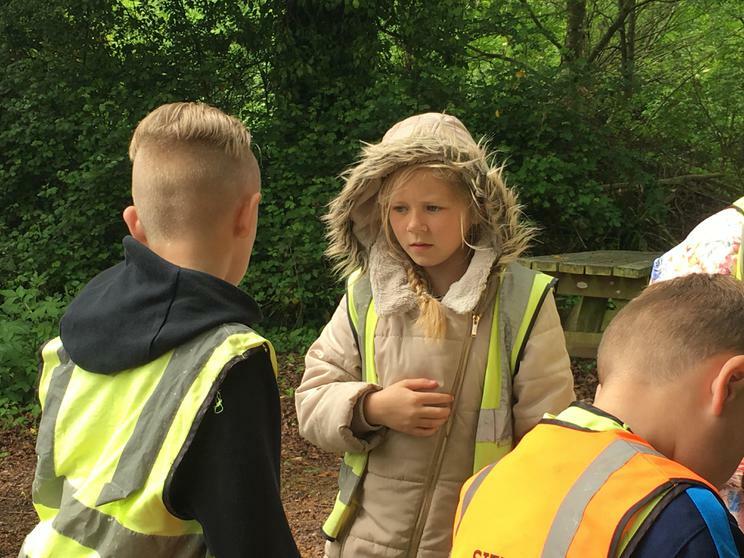 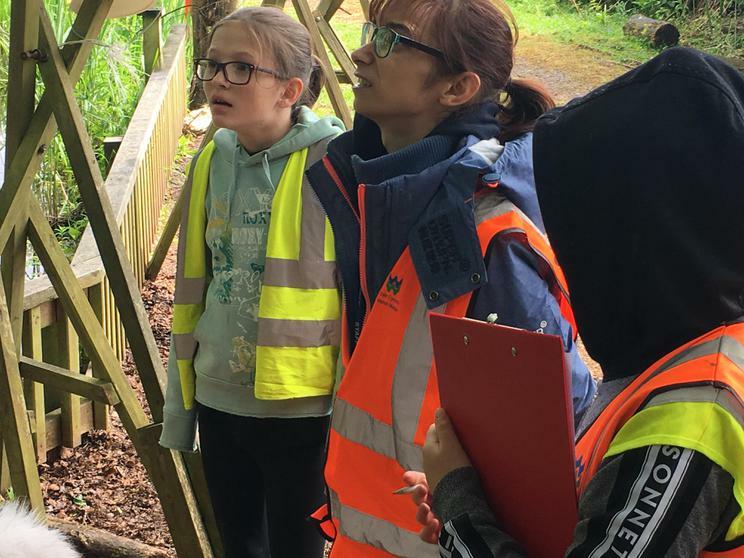 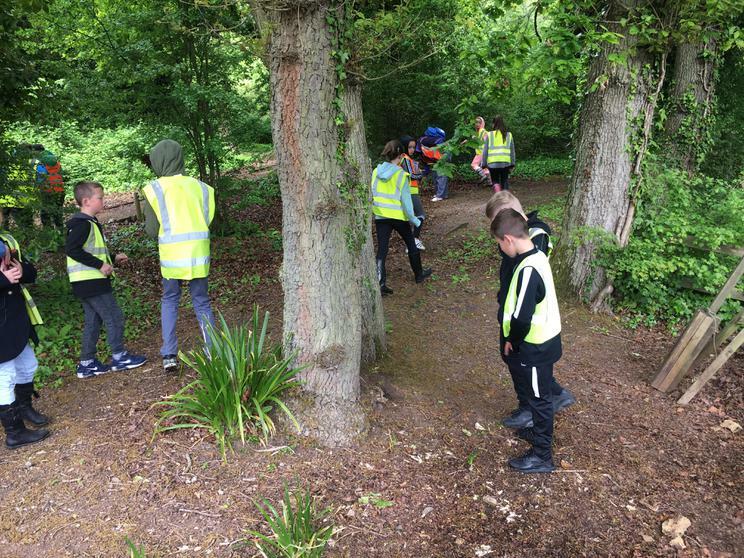 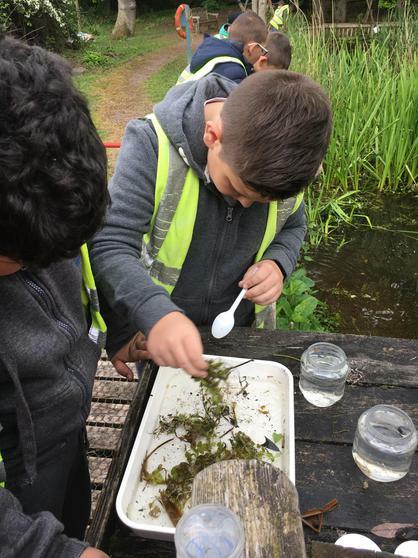 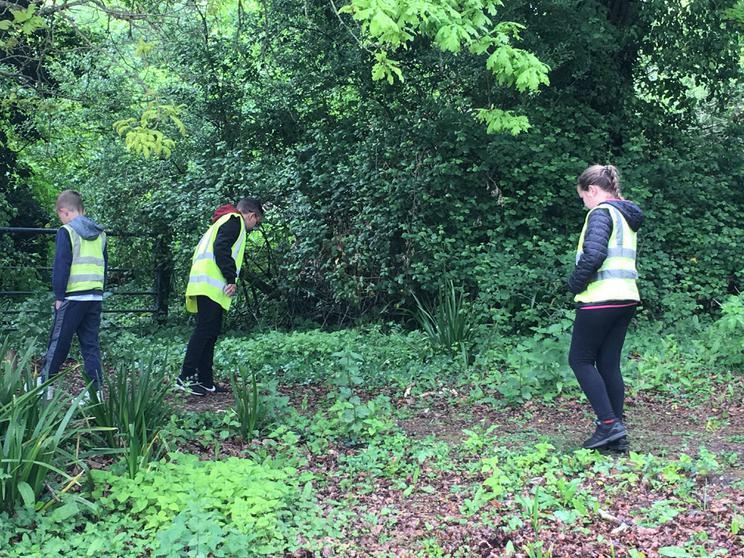 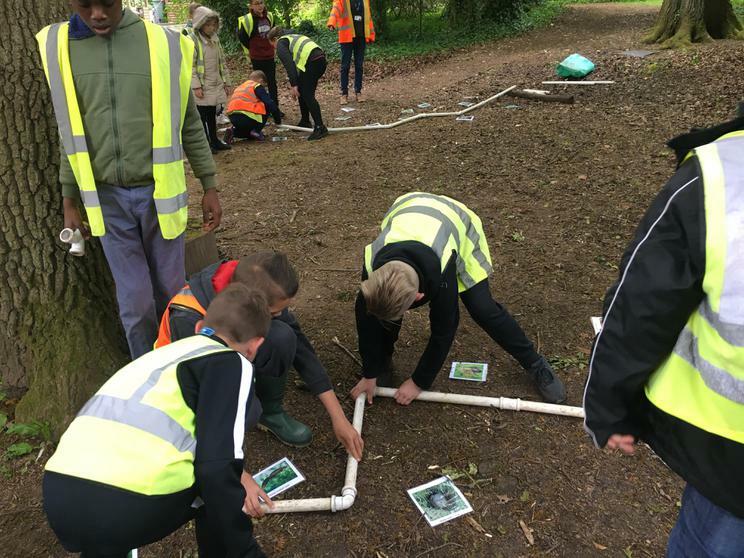 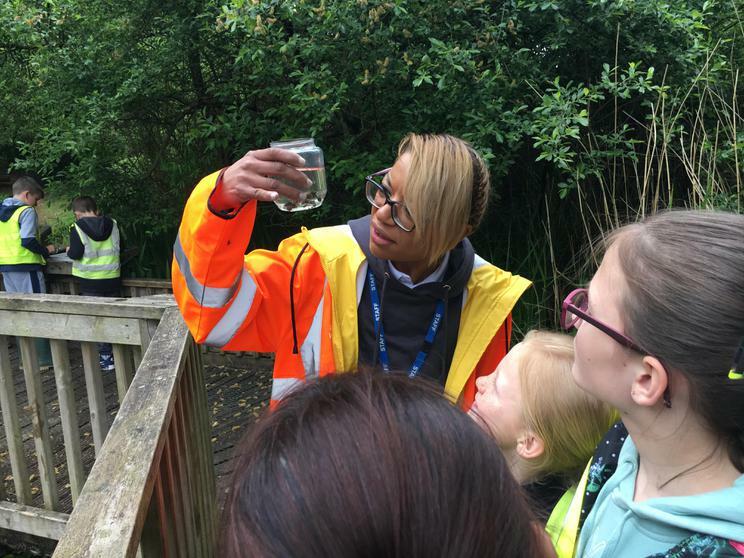 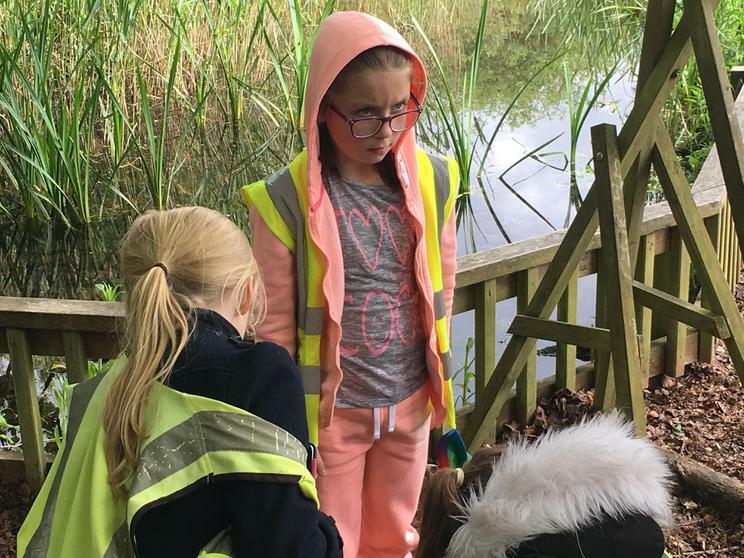 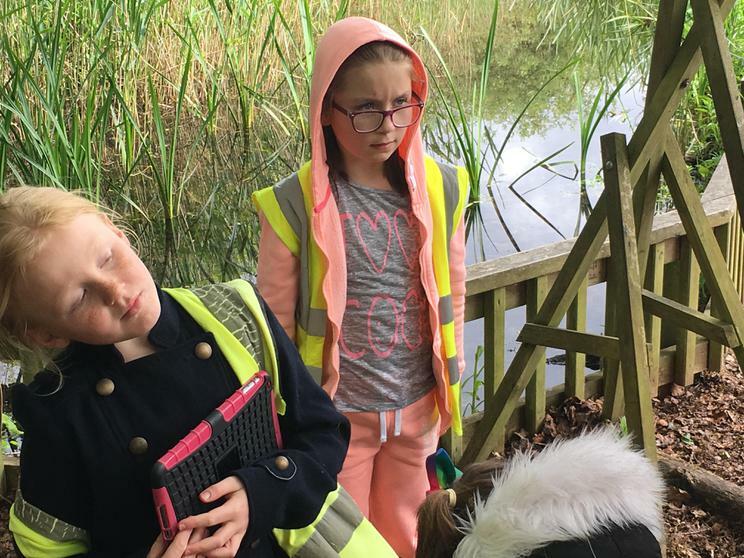 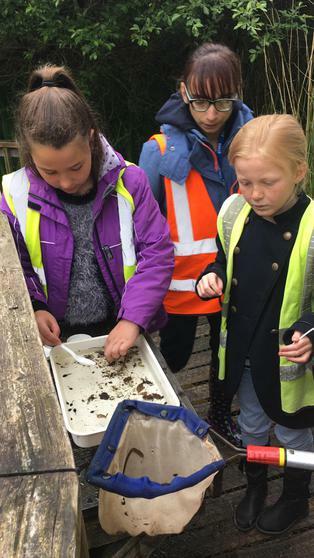 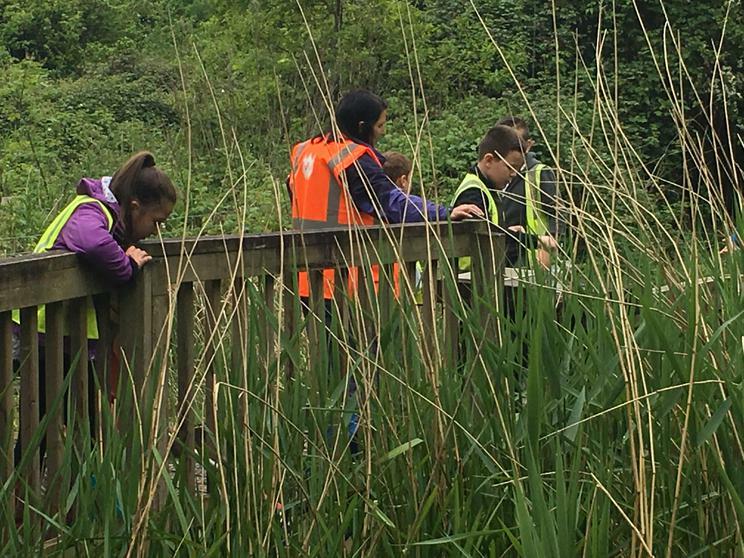 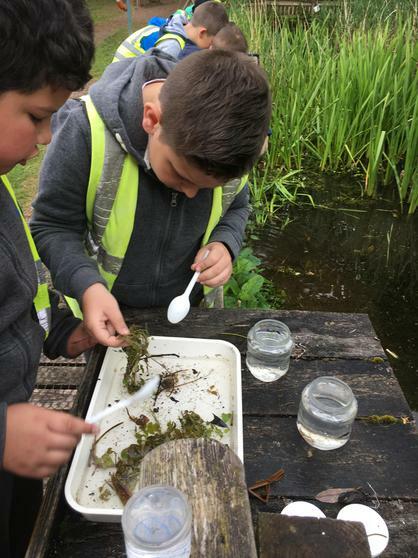 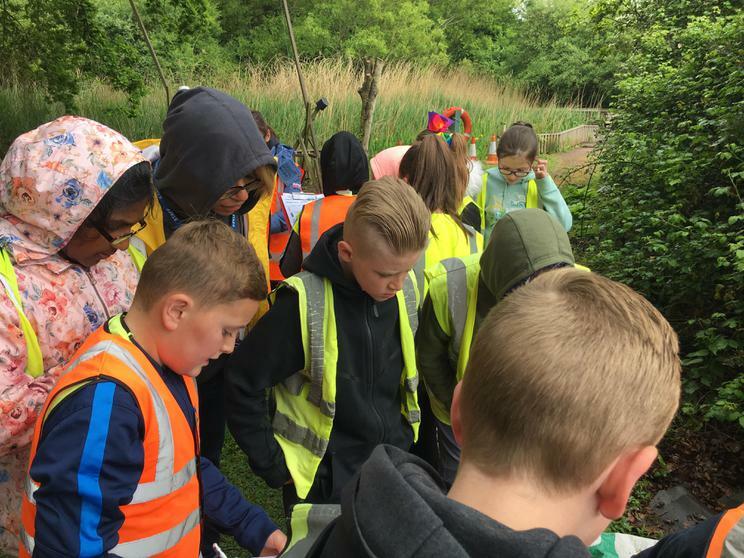 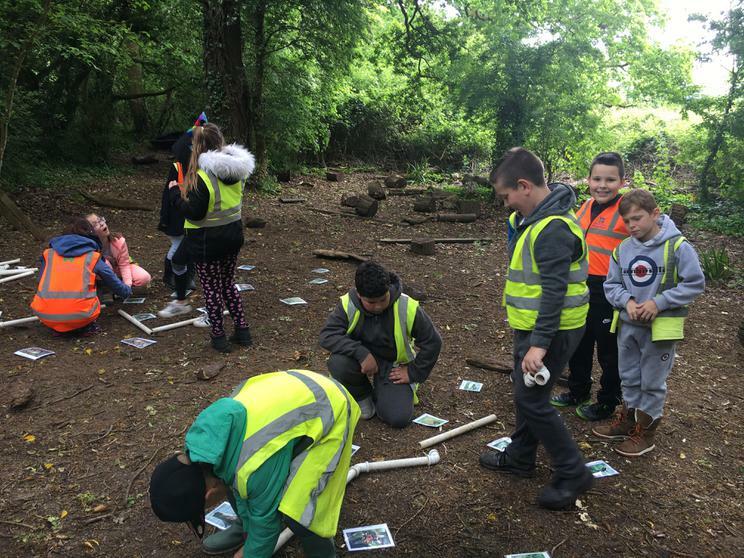 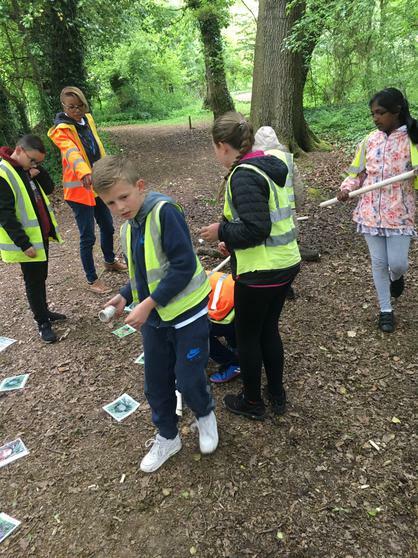 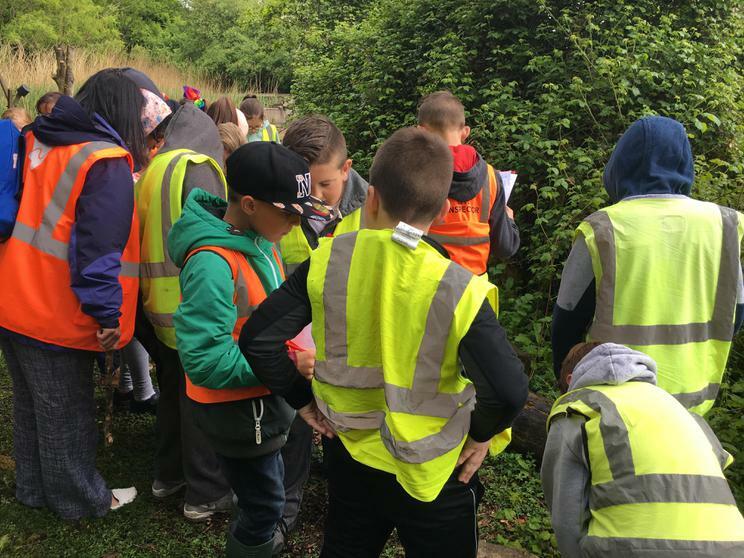 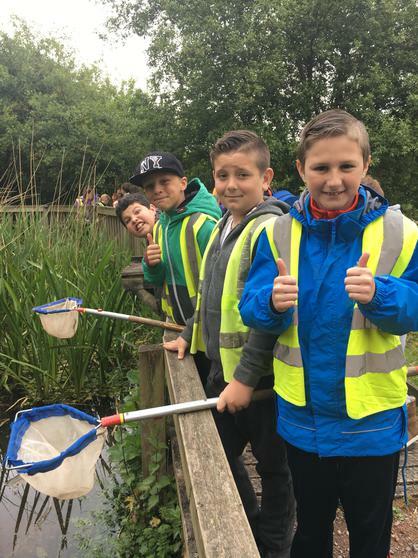 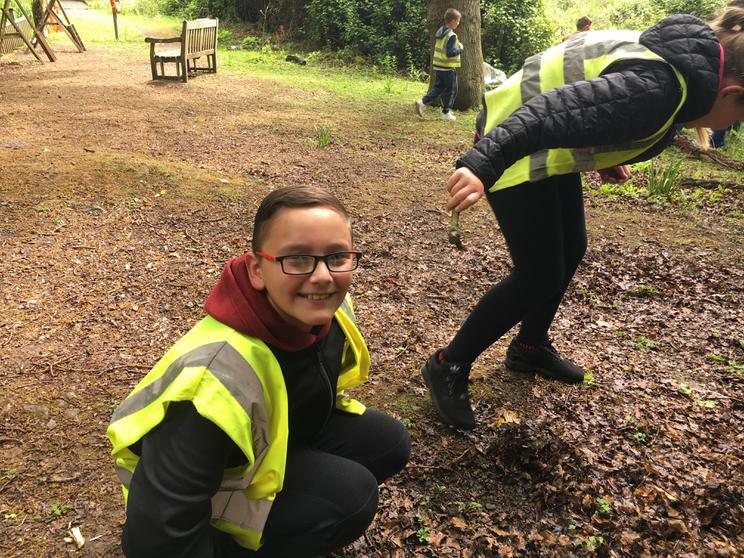 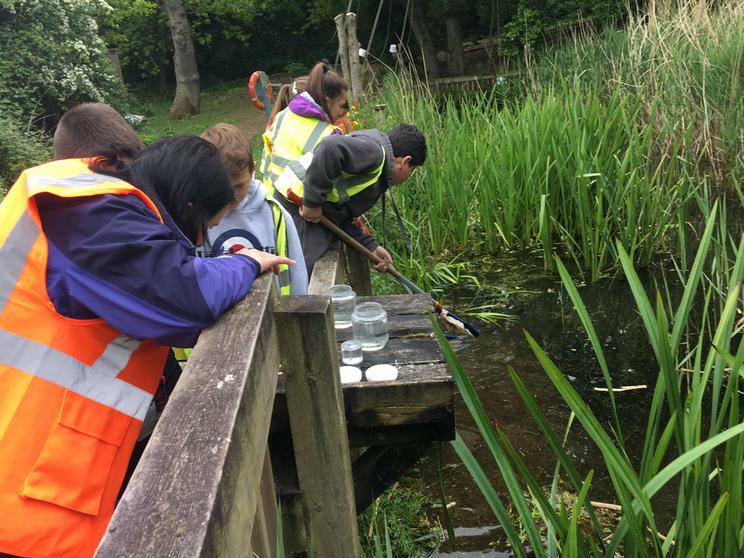 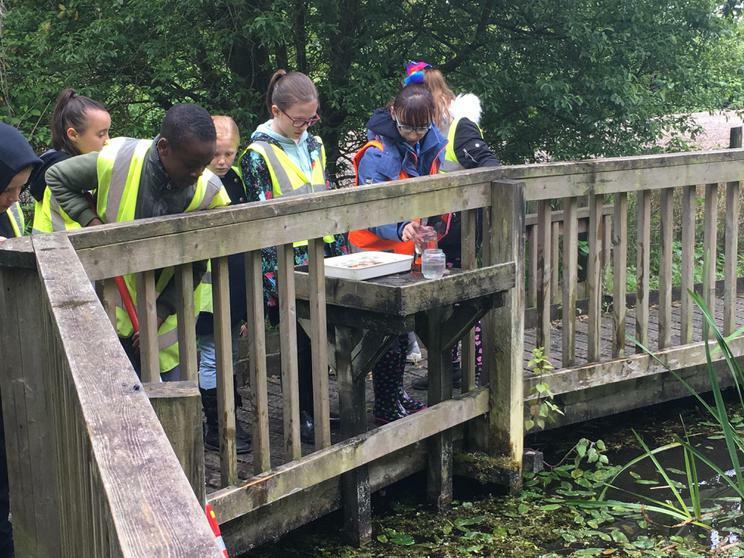 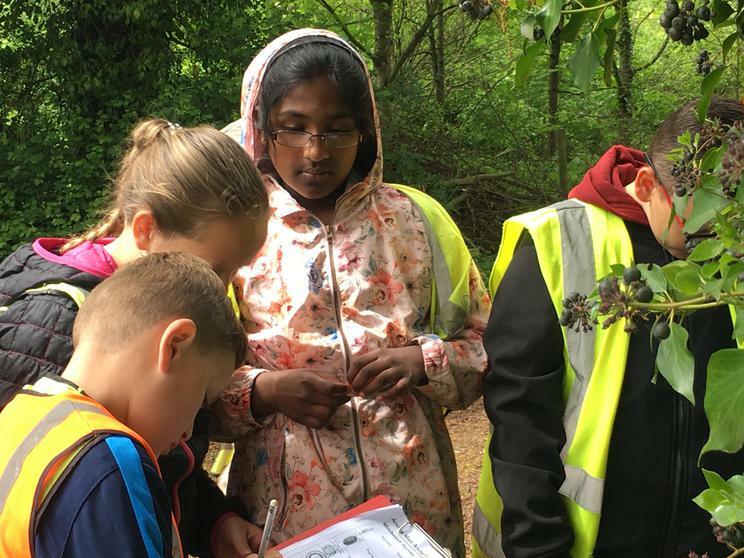 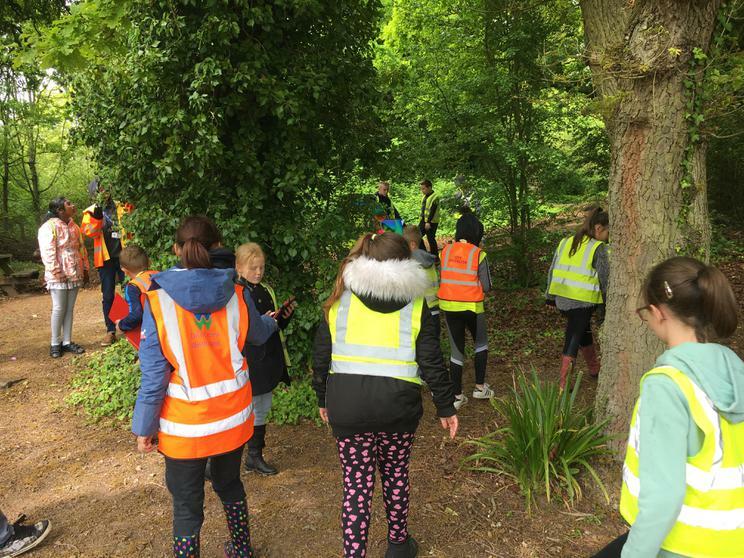 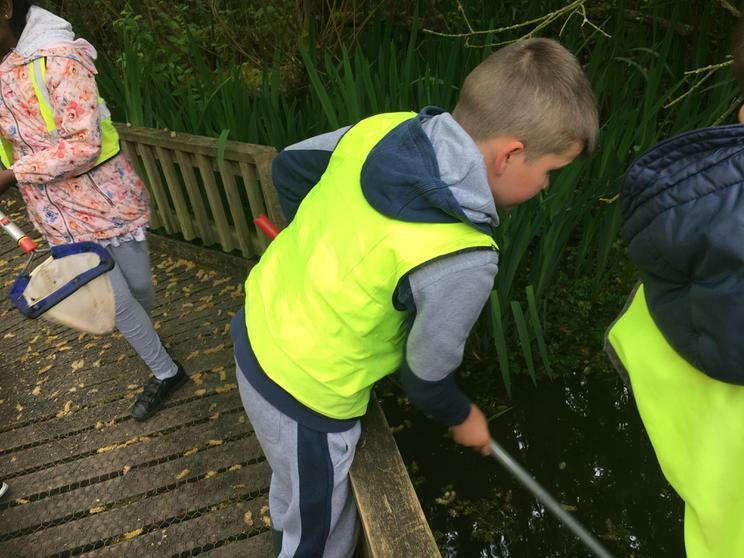 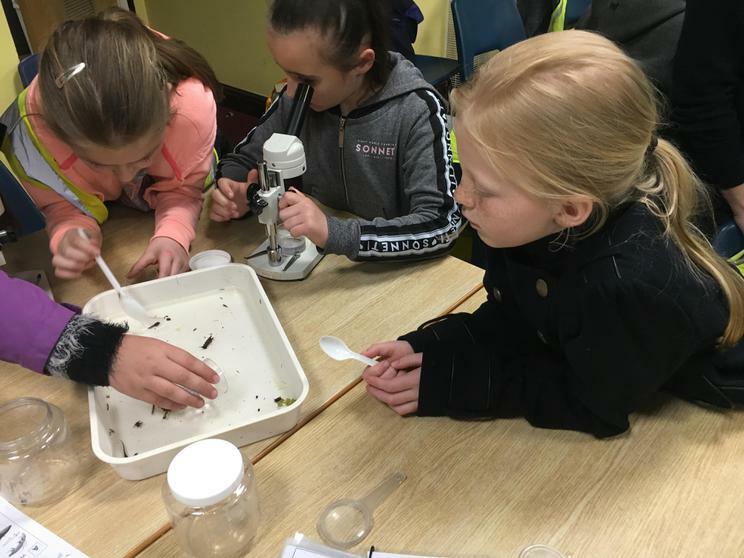 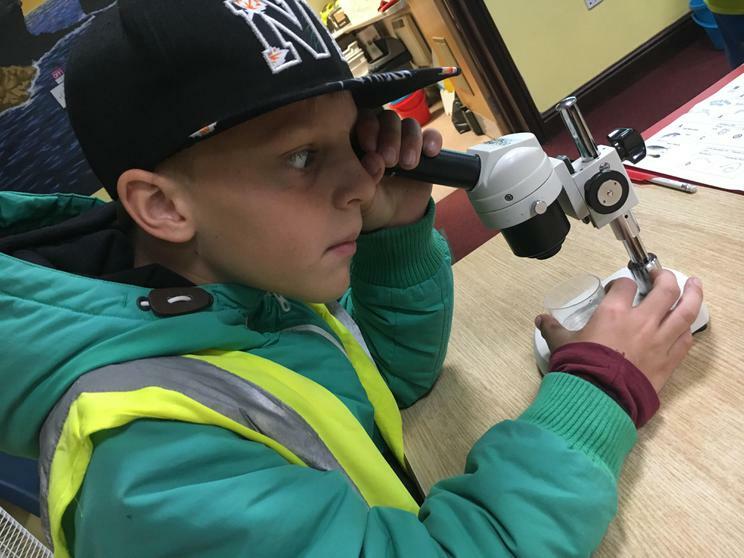 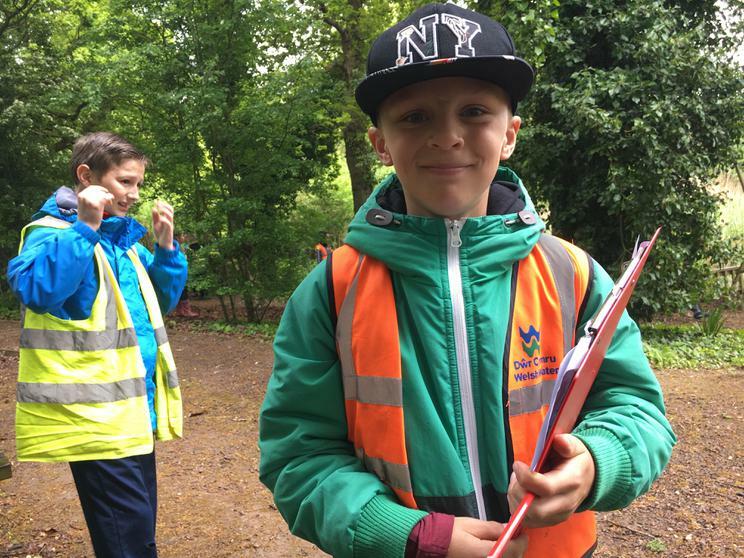 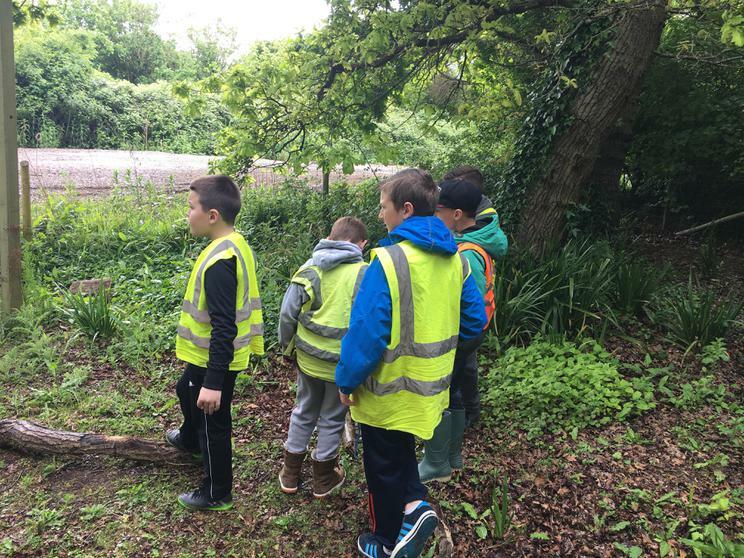 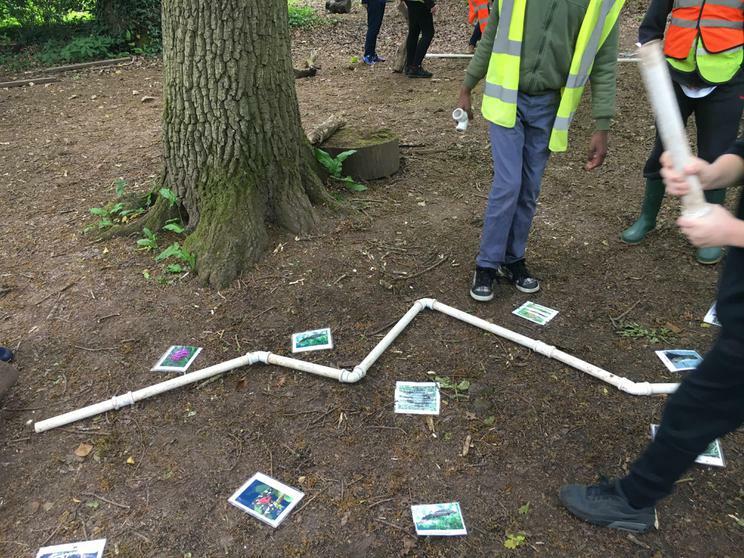 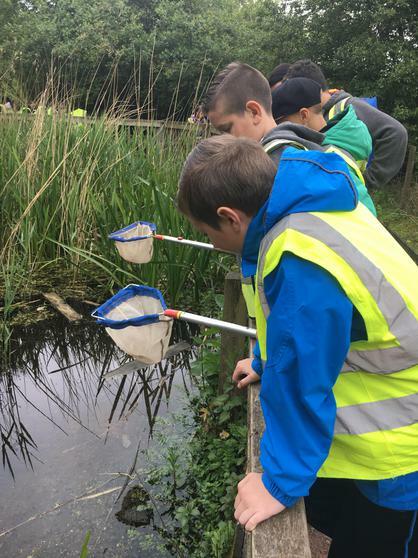 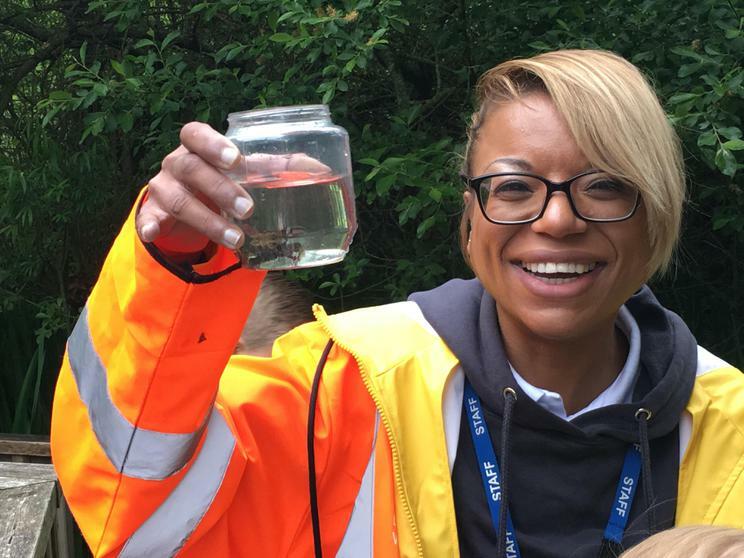 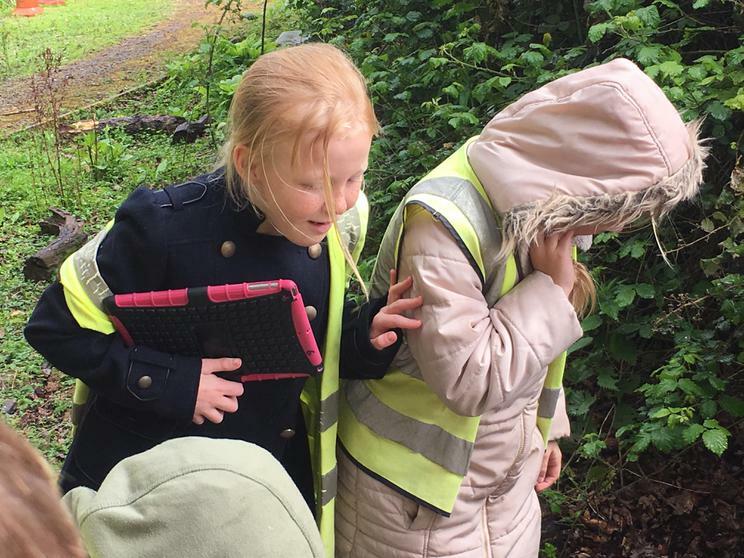 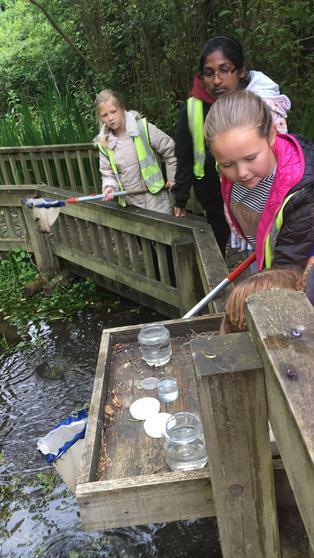 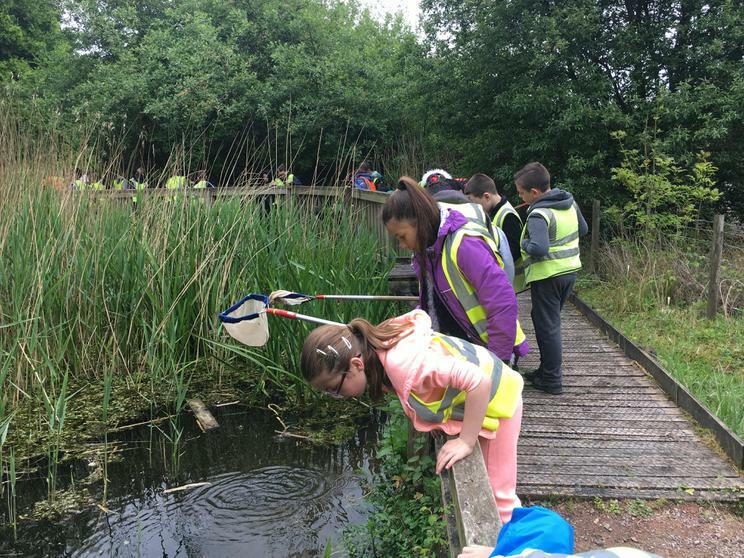 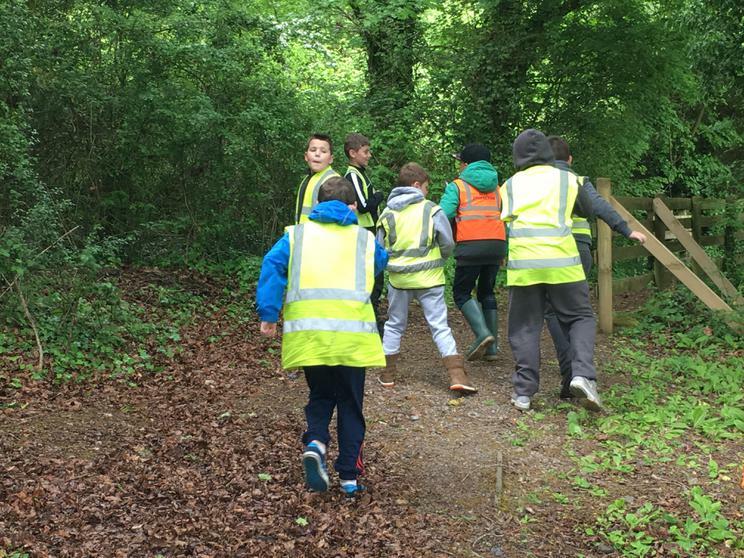 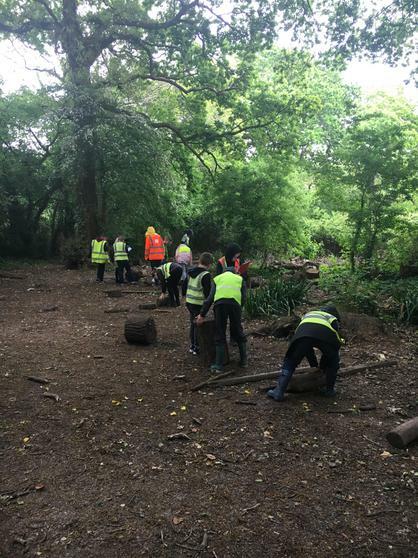 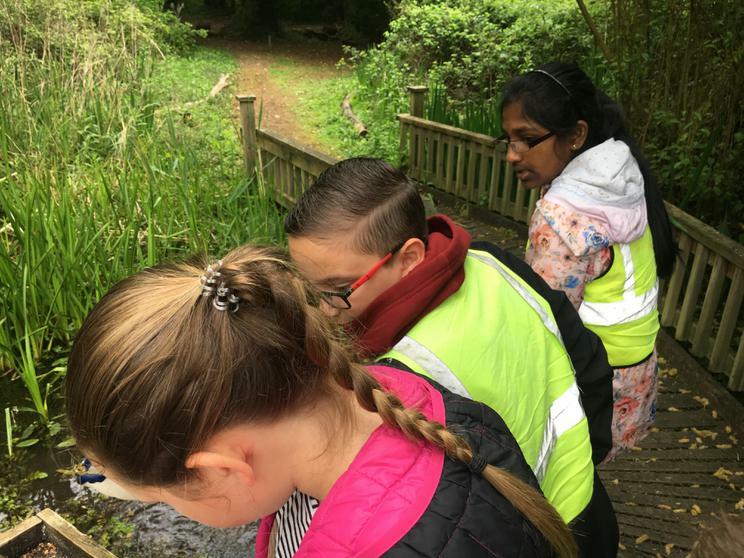 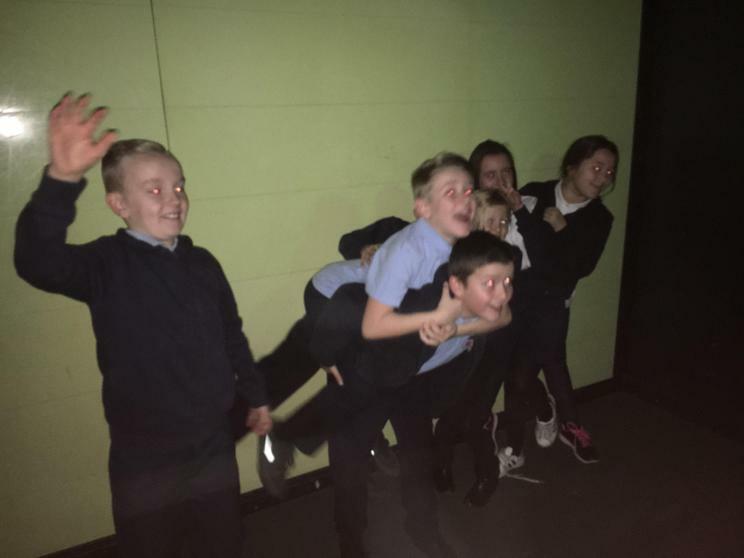 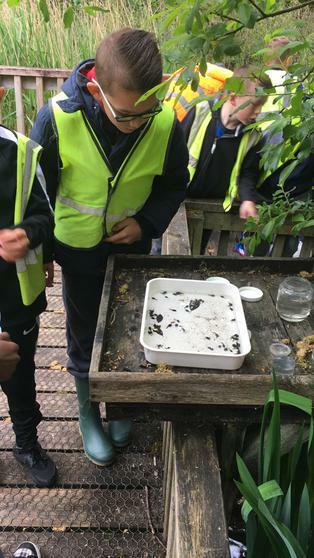 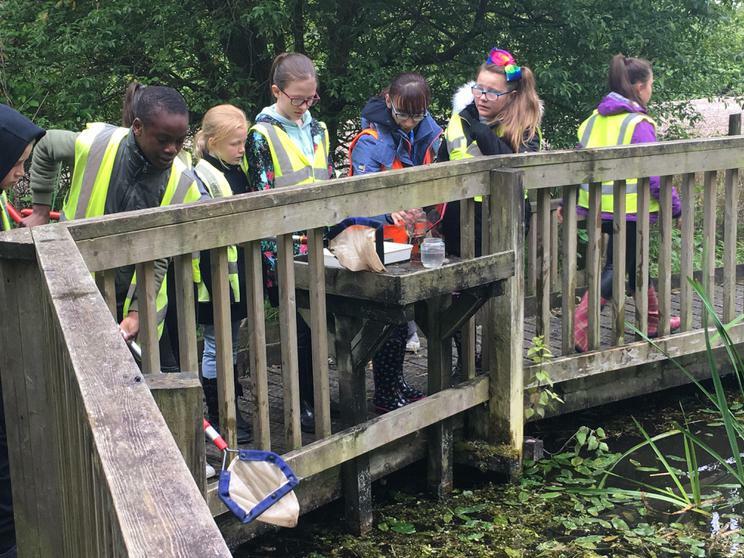 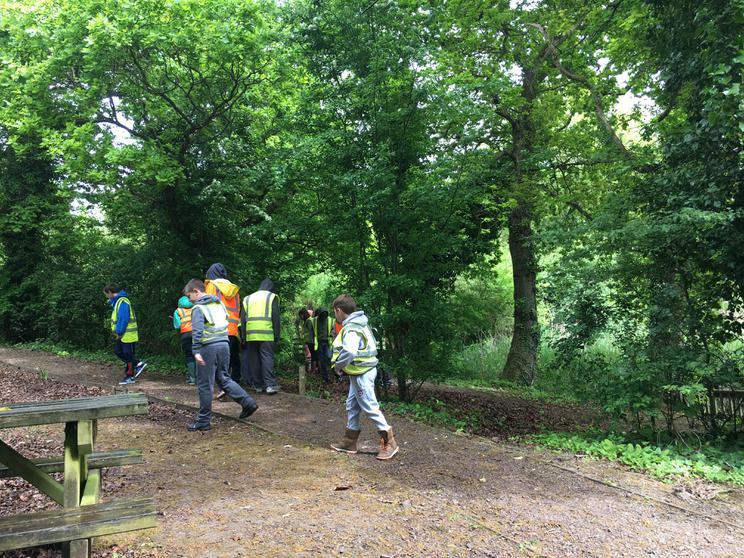 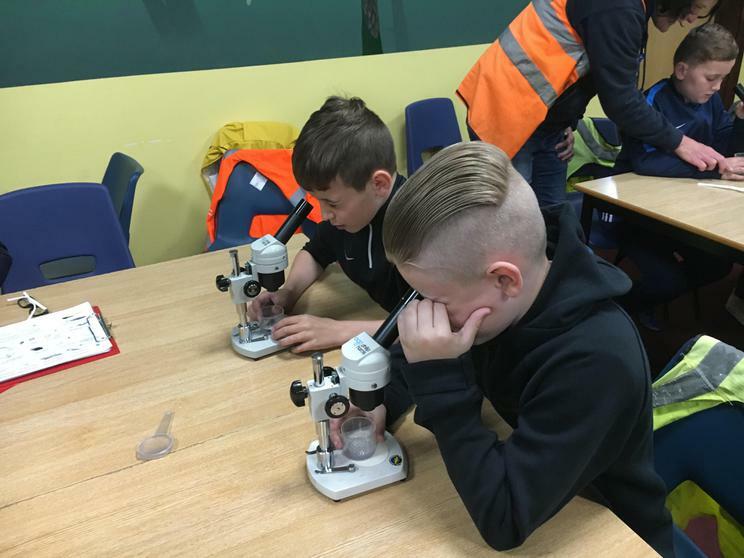 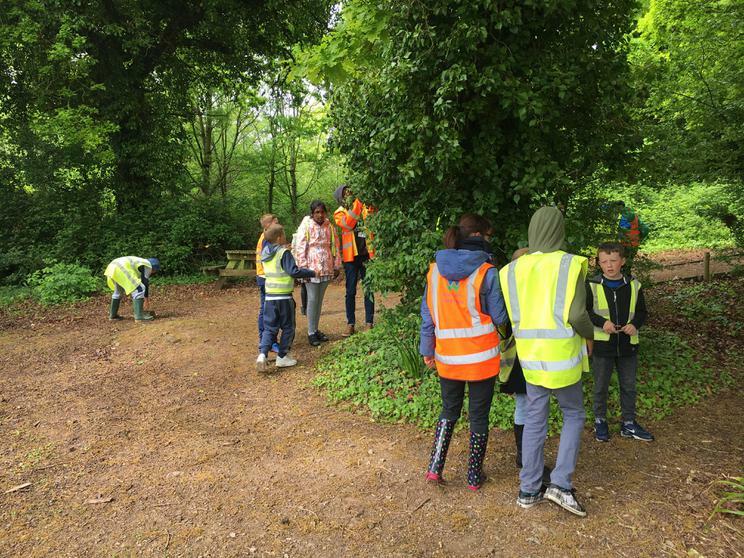 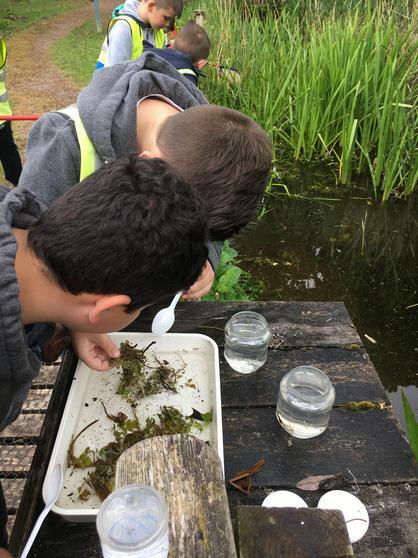 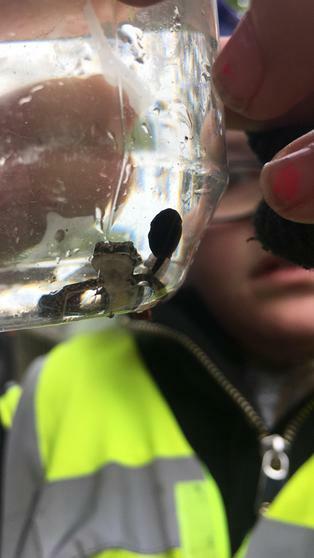 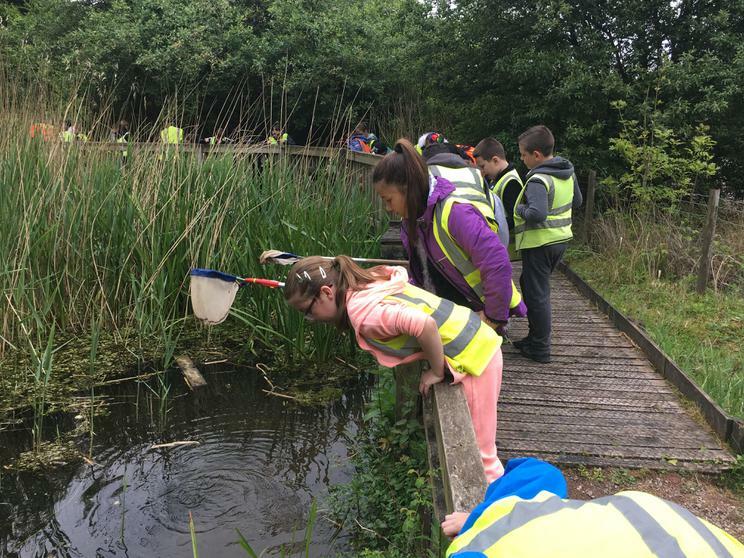 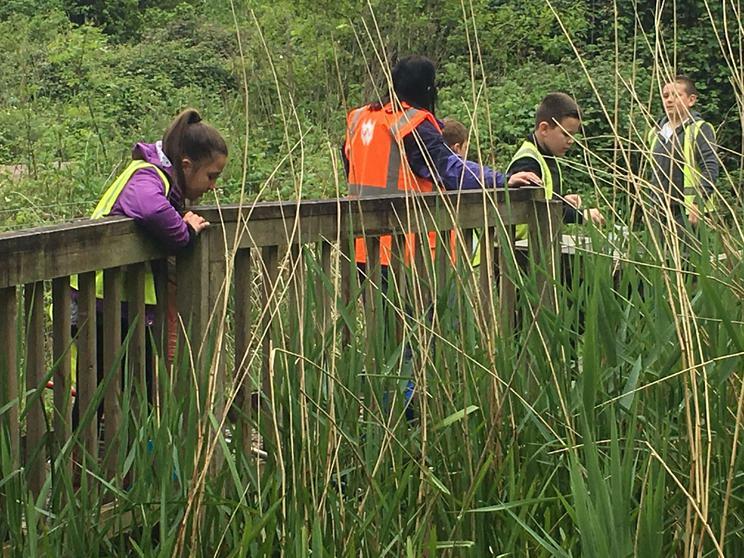 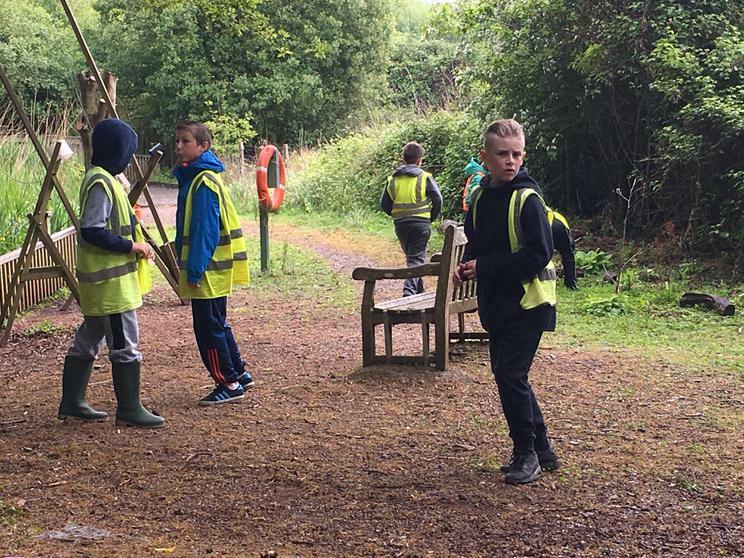 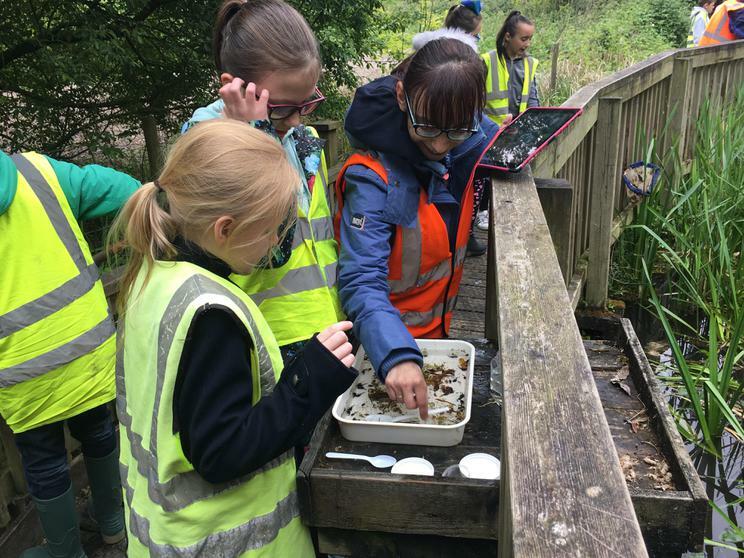 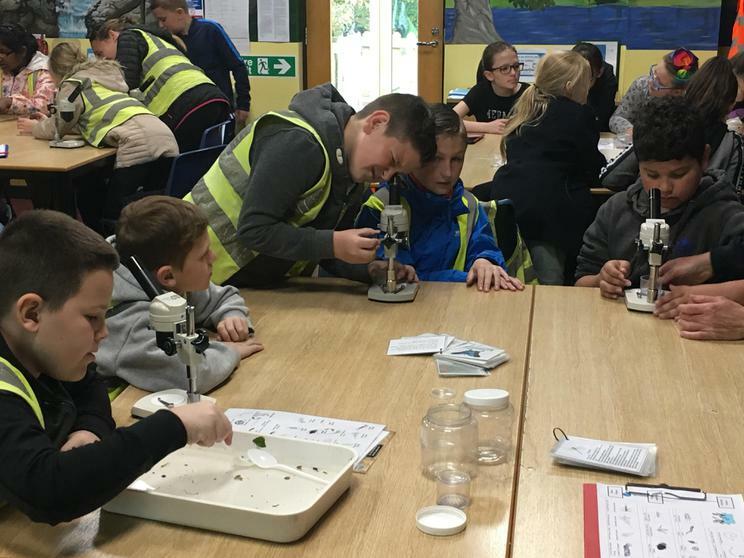 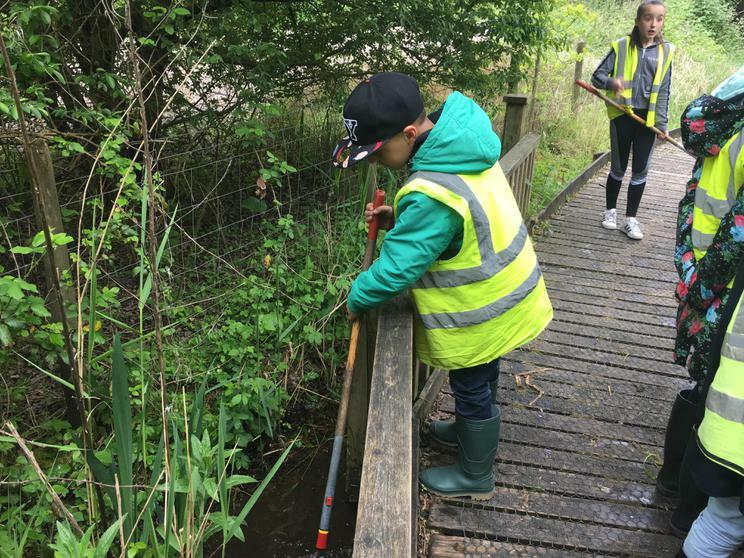 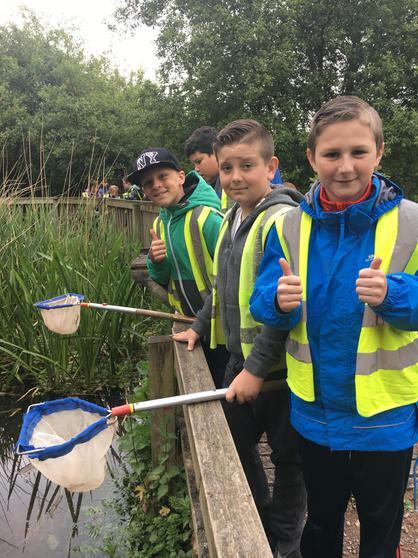 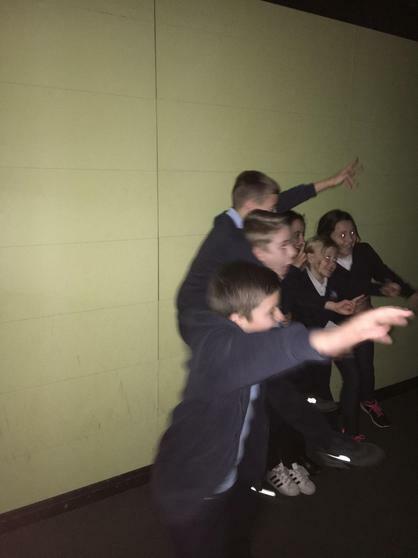 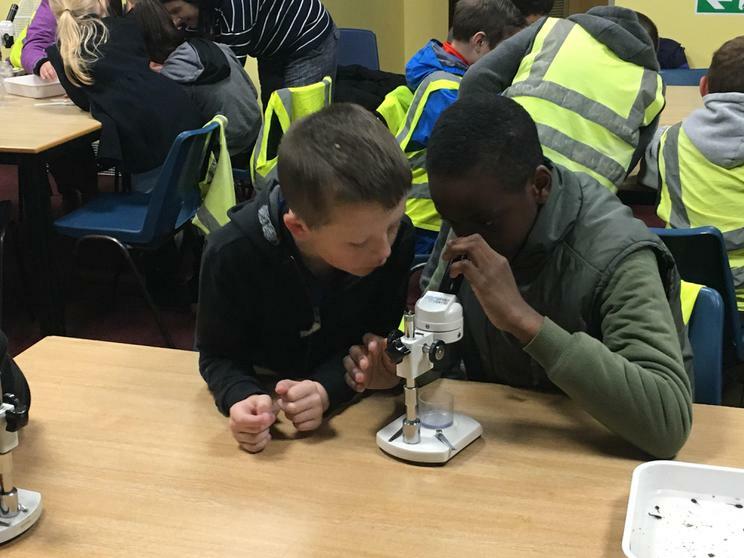 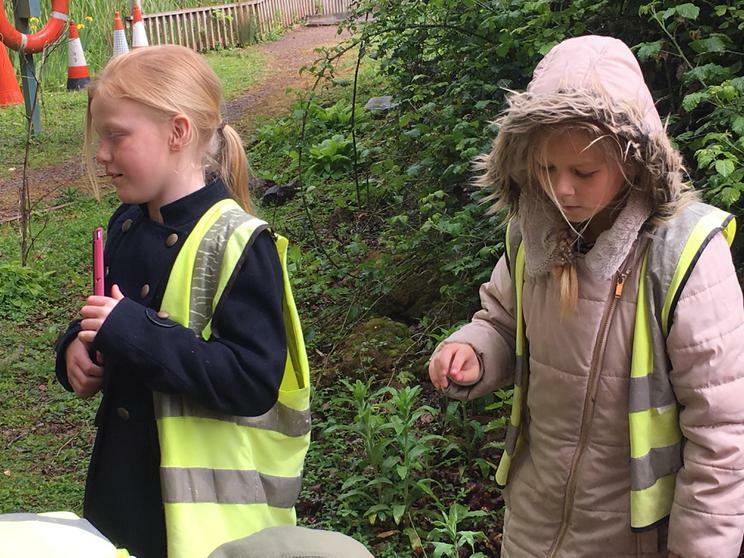 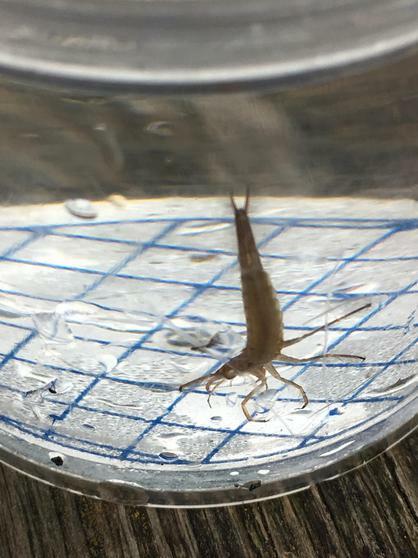 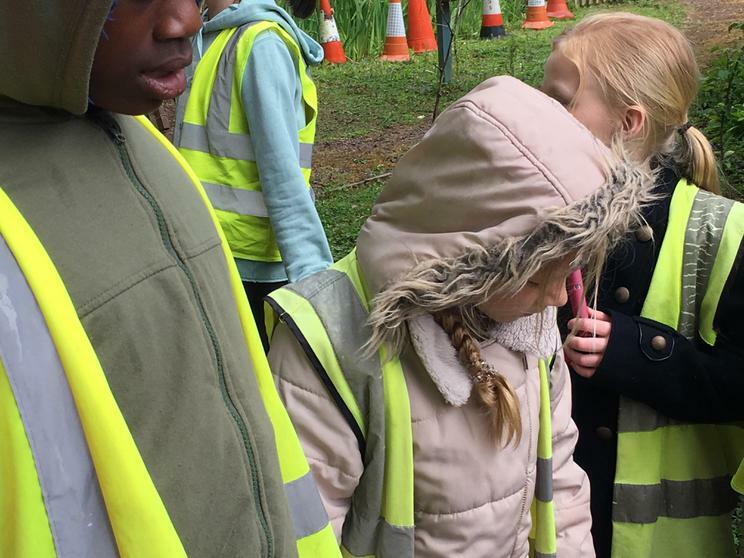 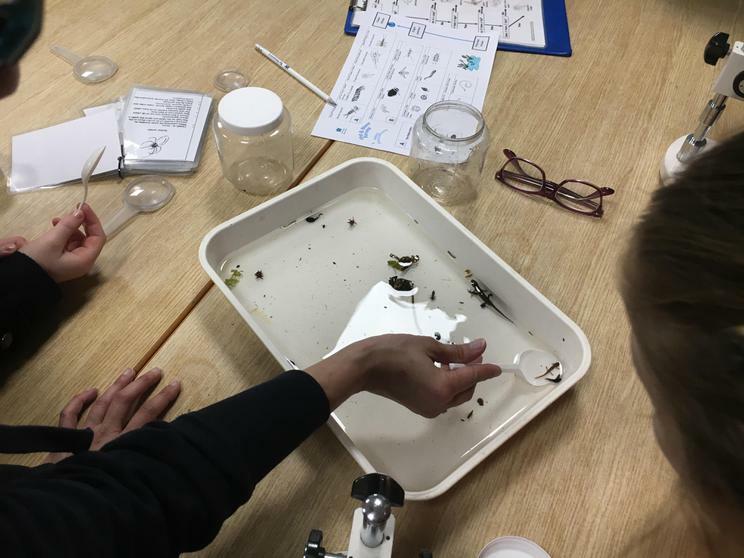 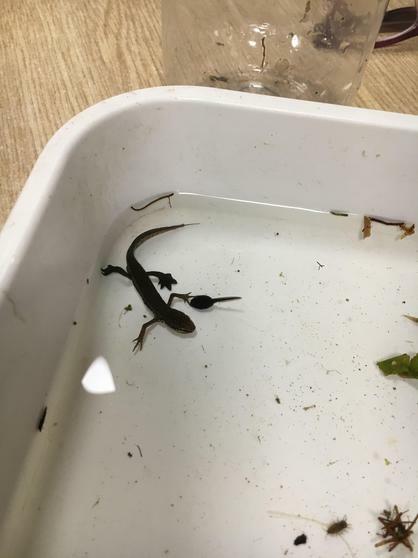 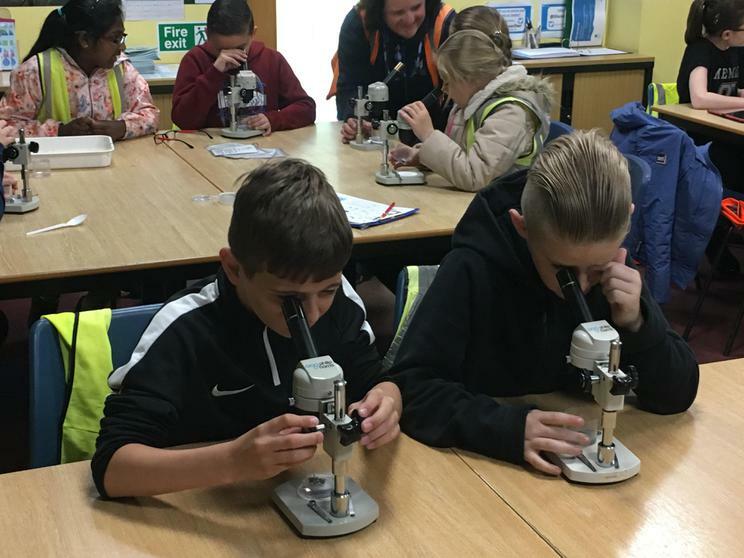 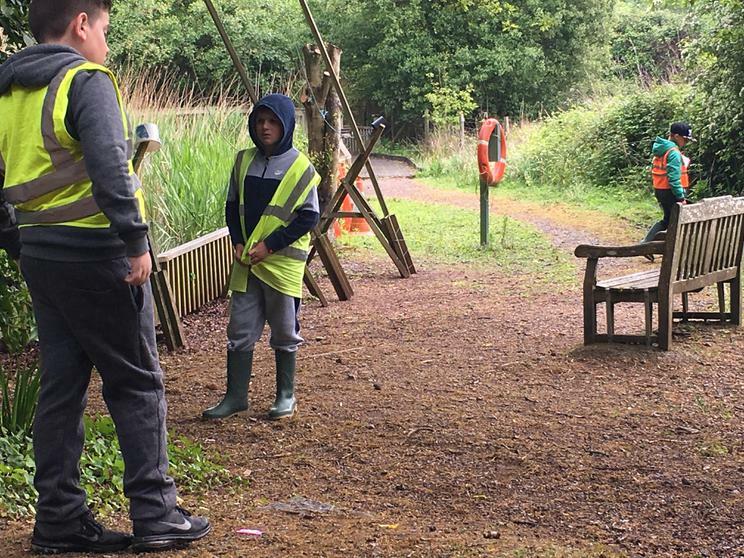 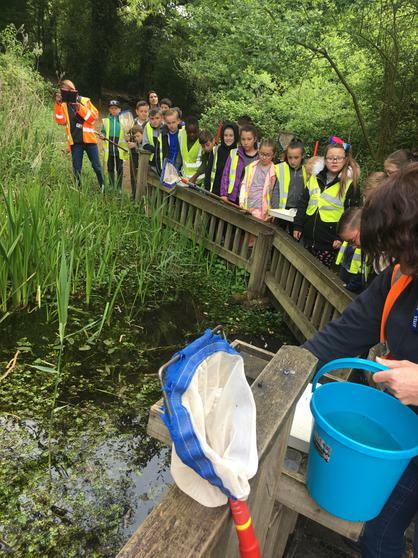 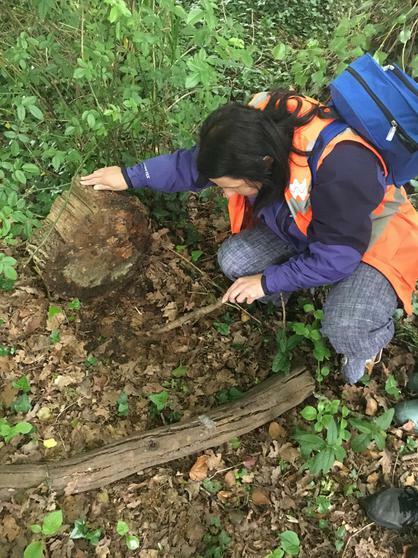 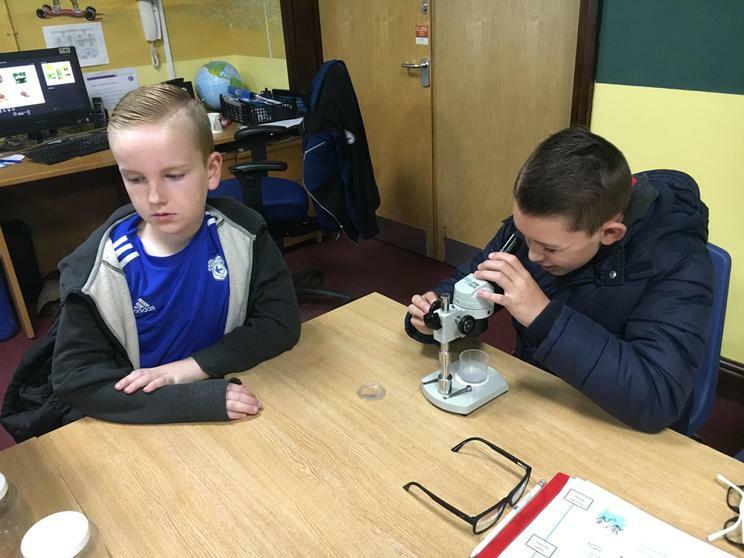 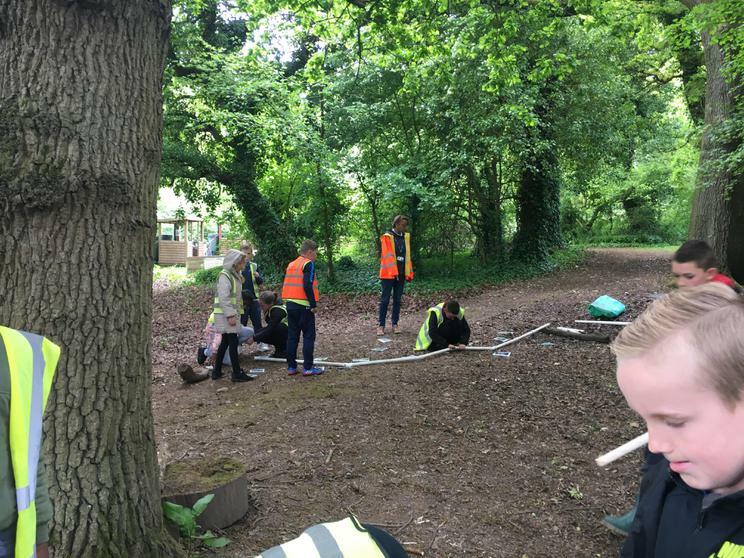 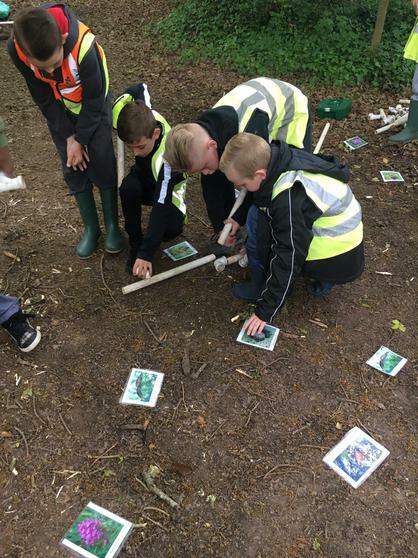 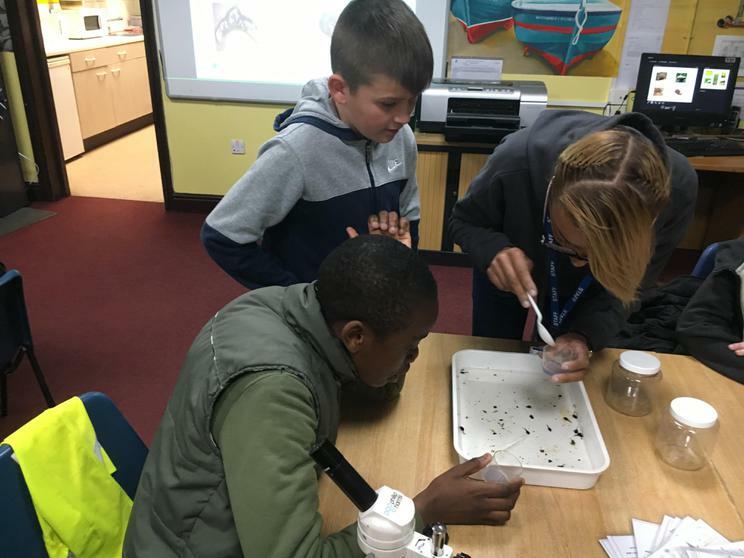 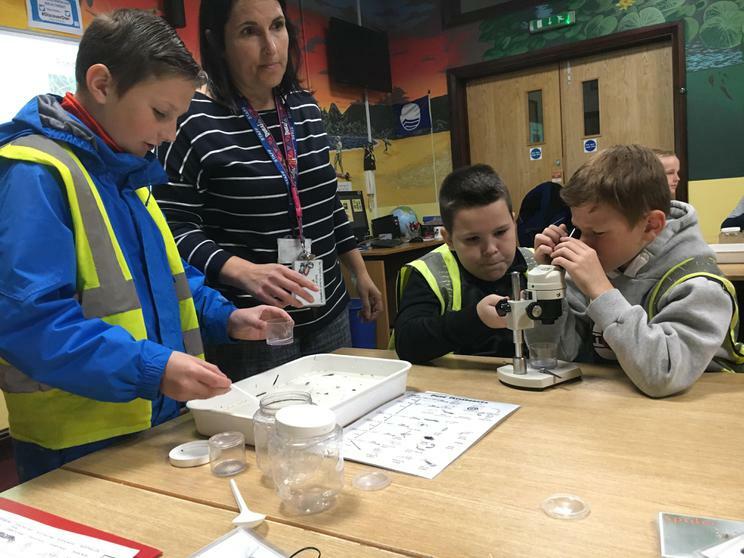 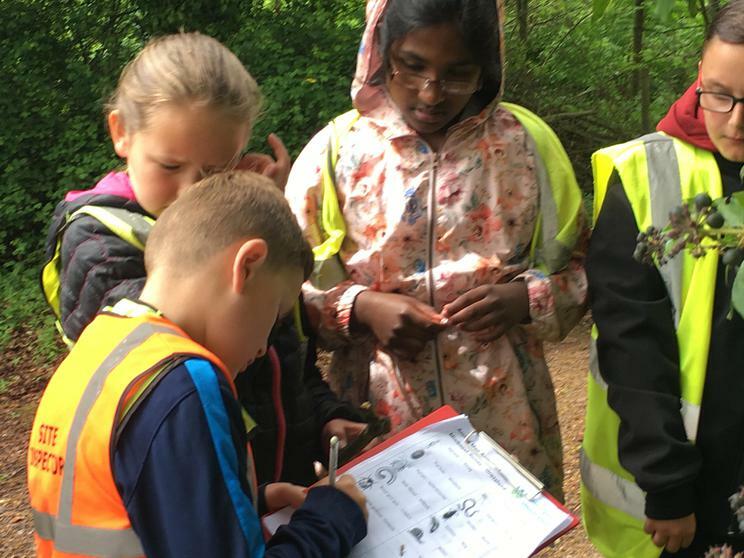 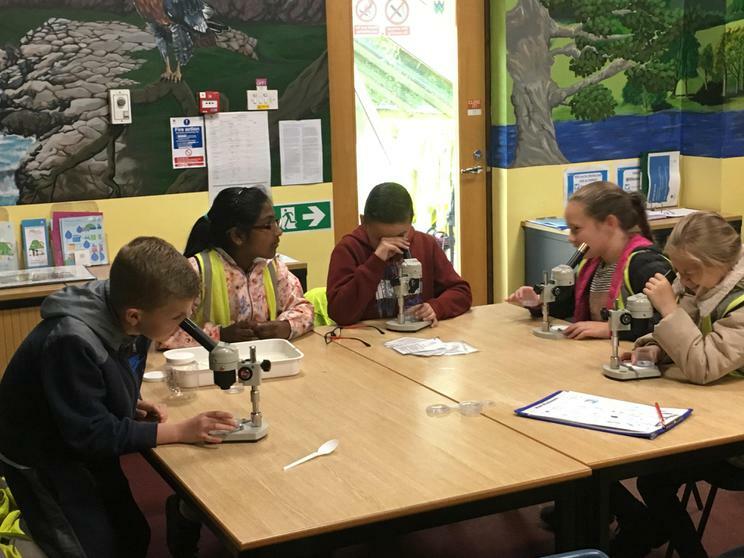 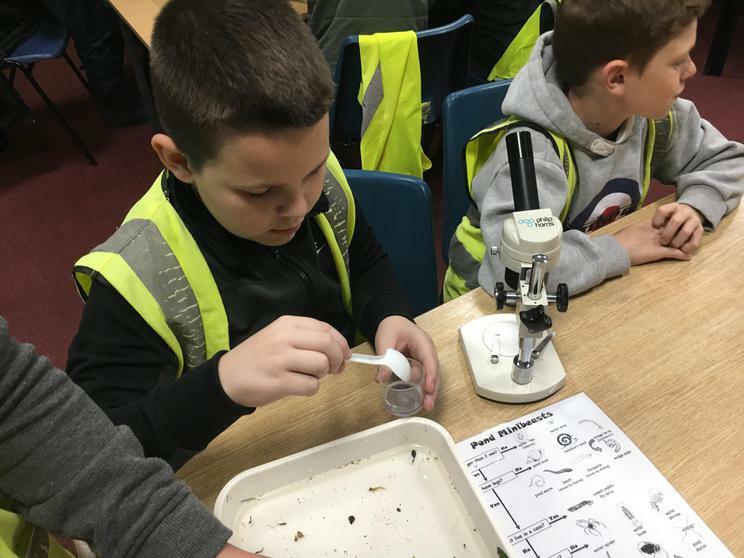 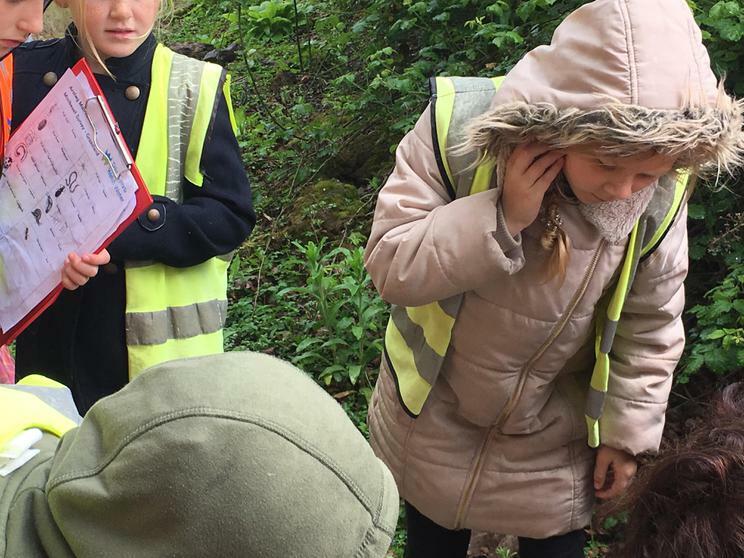 As part of our science topic, year 5 visited Cog Moors where we classified pond animals and went on a minibeast hunt. 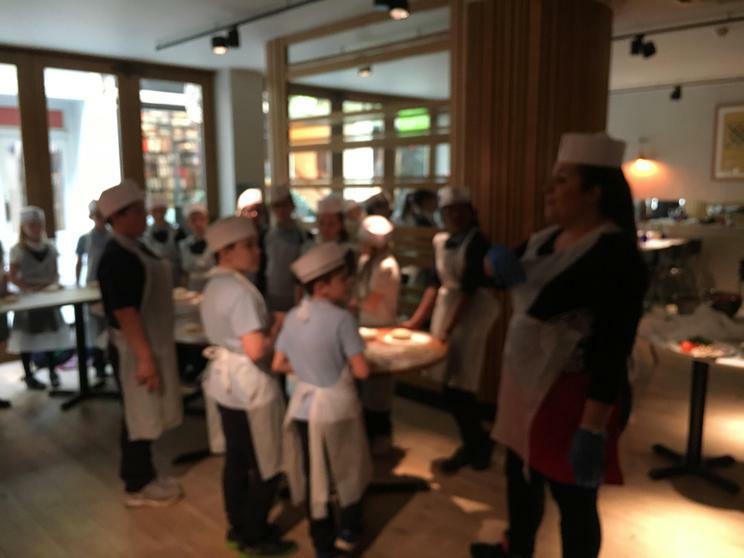 Pizza Express visit. 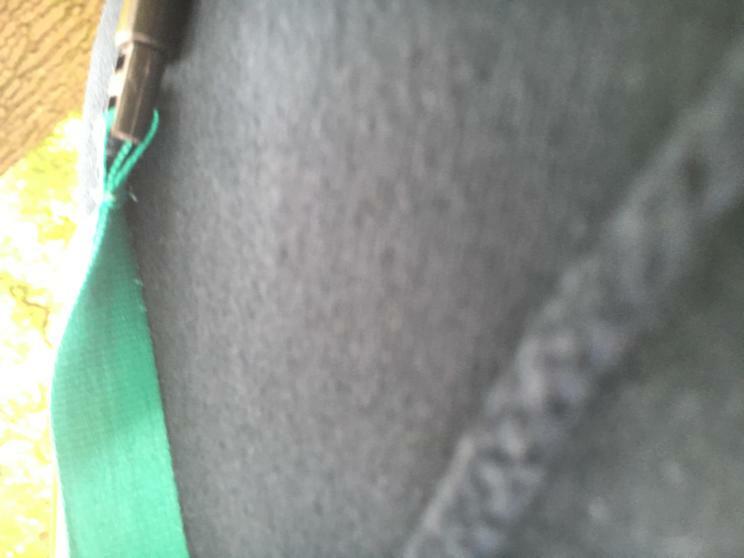 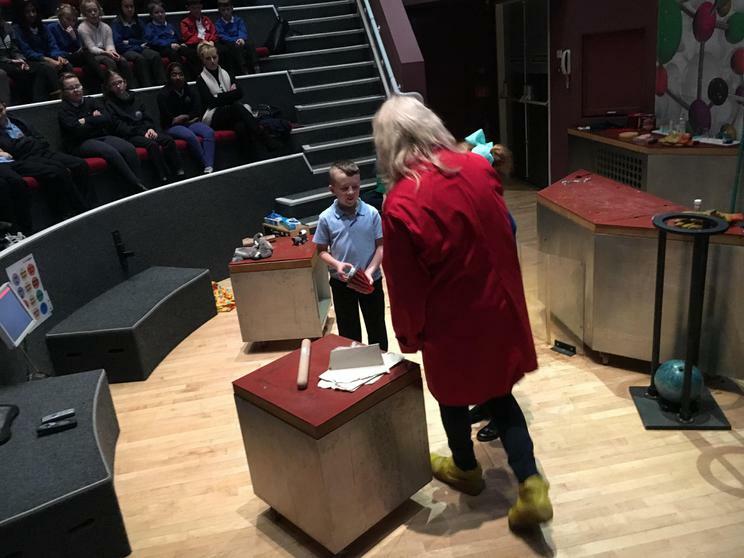 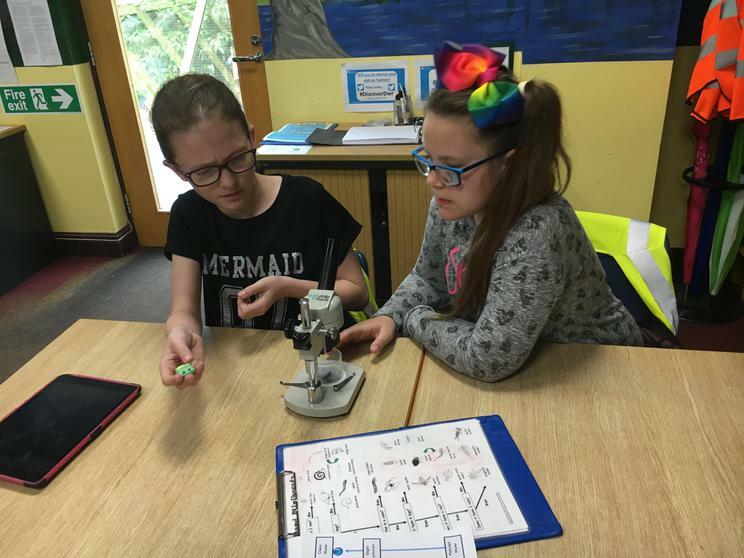 Our science topic was changing materials, we investigated reversible/irreversible changes and making solutions. 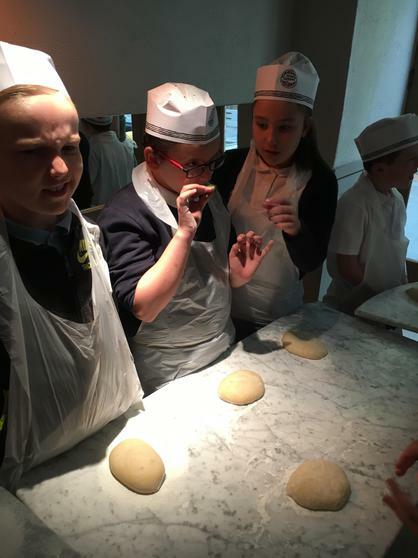 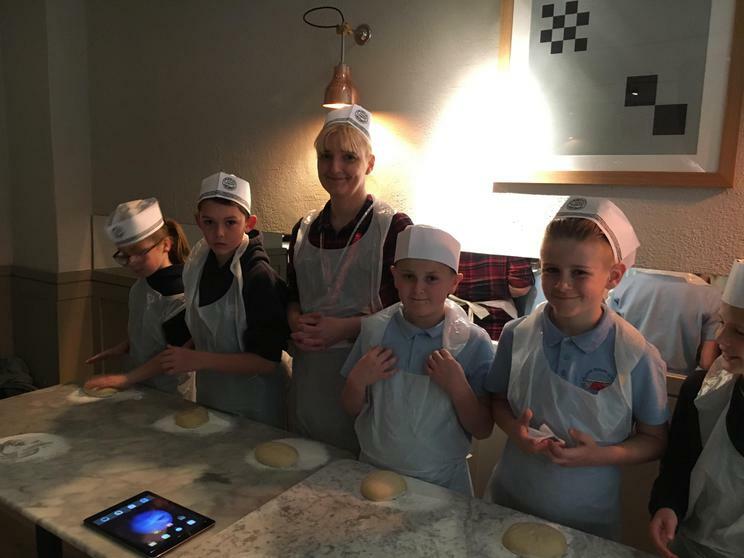 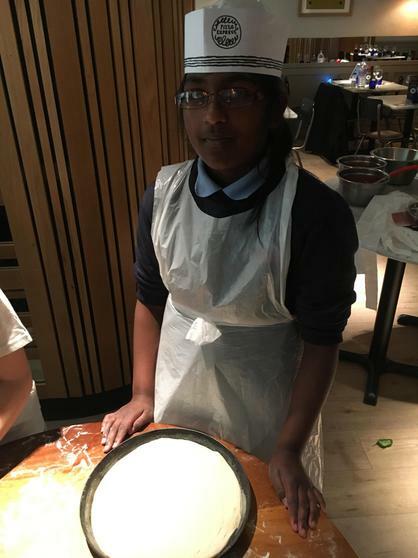 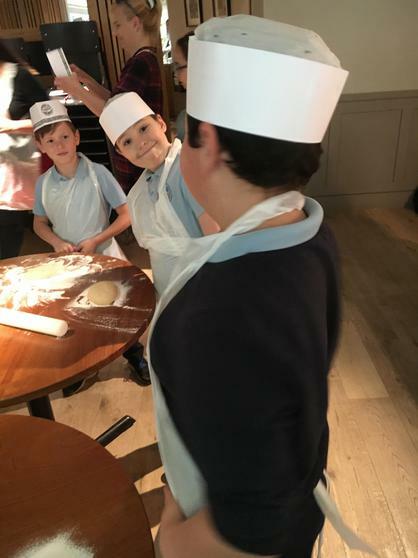 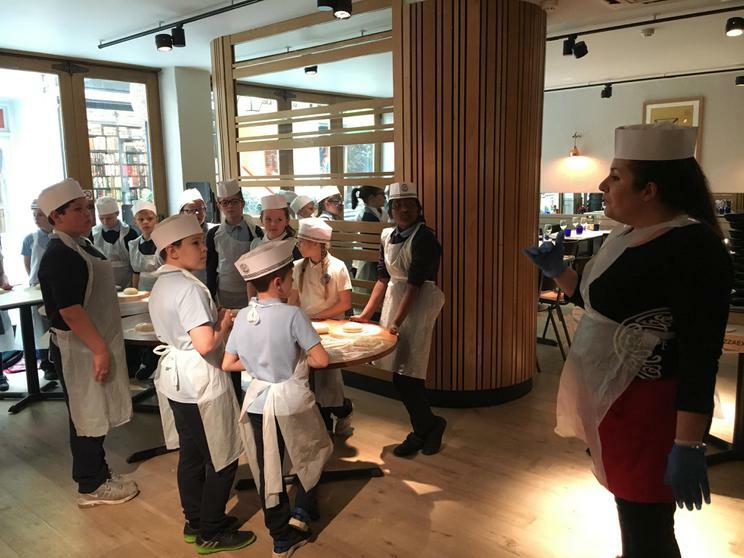 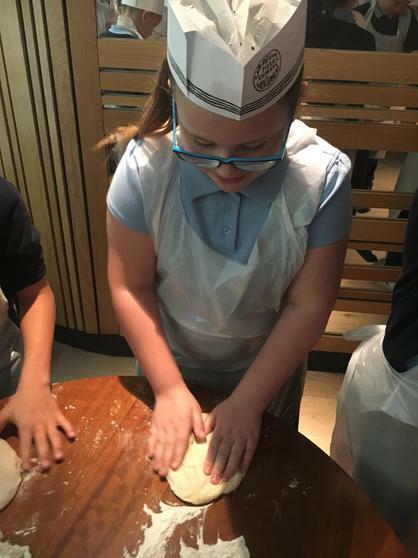 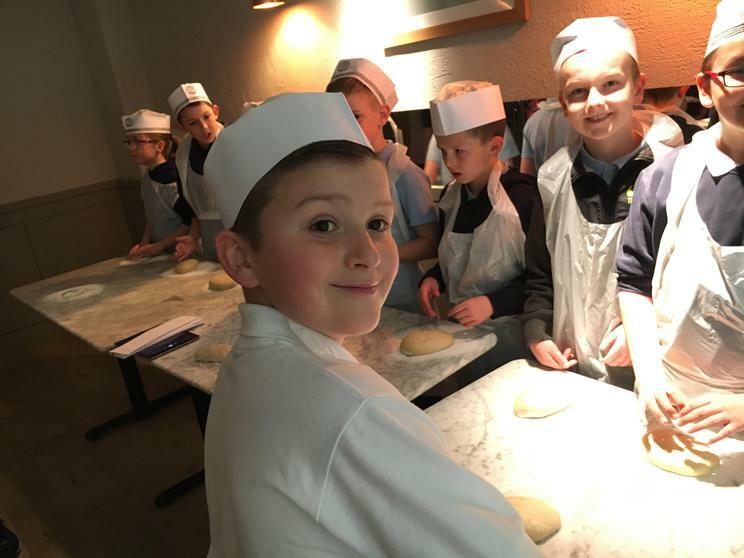 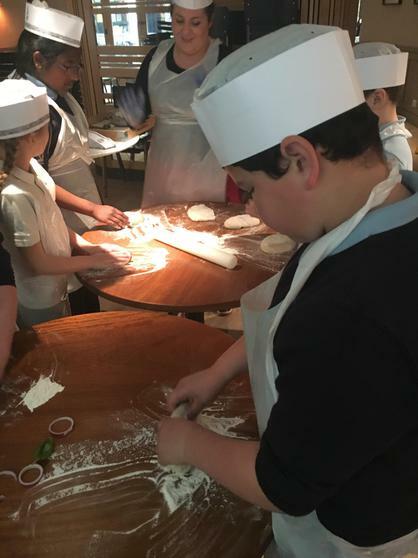 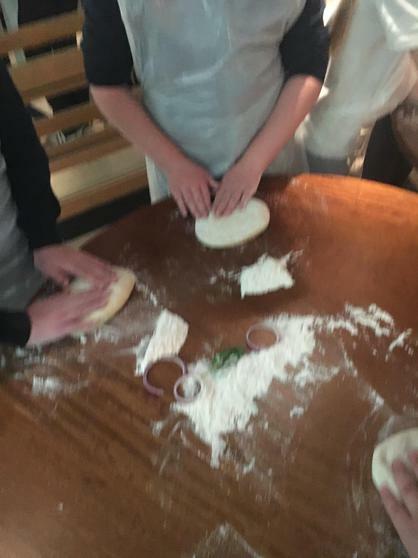 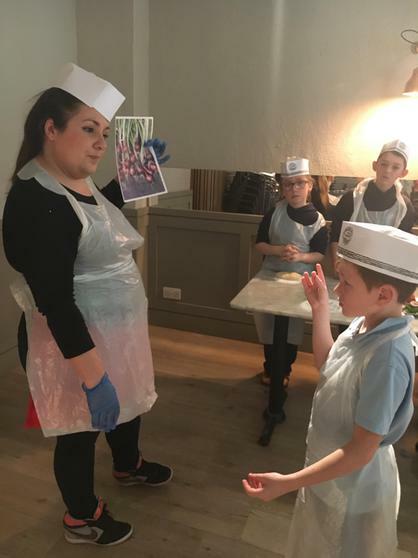 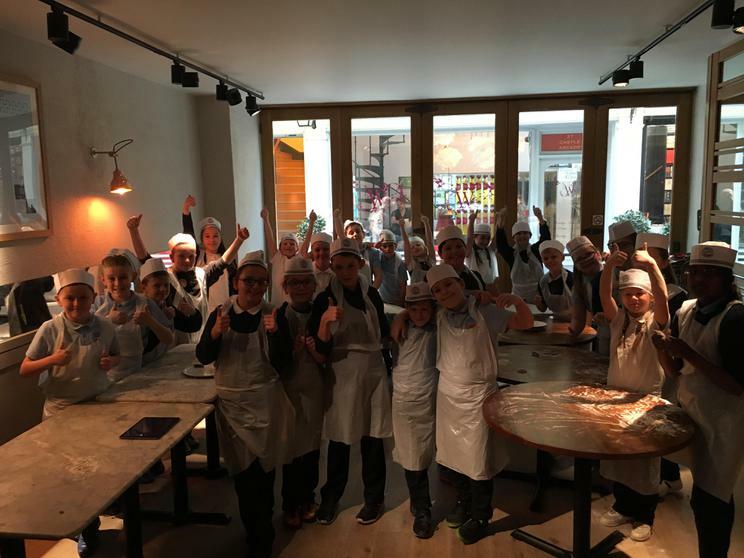 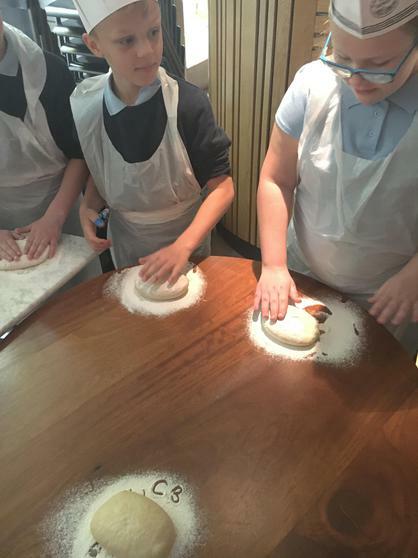 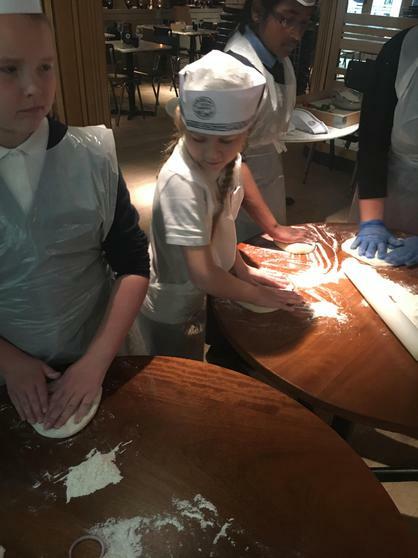 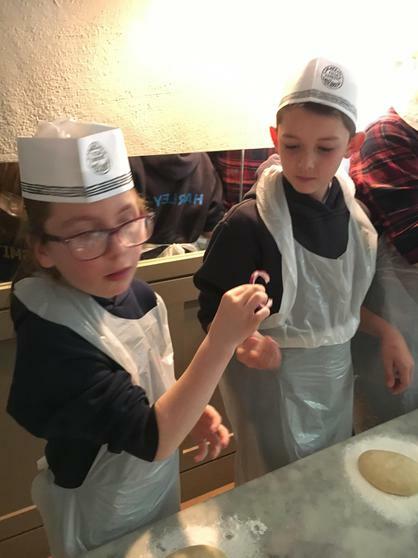 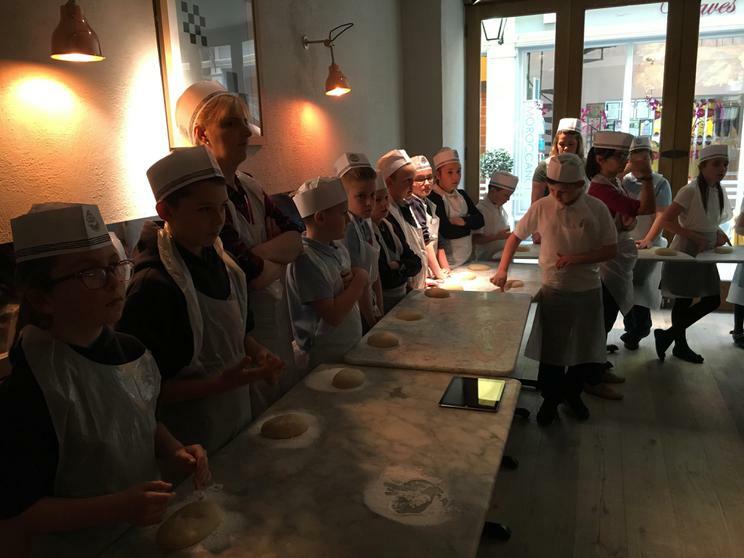 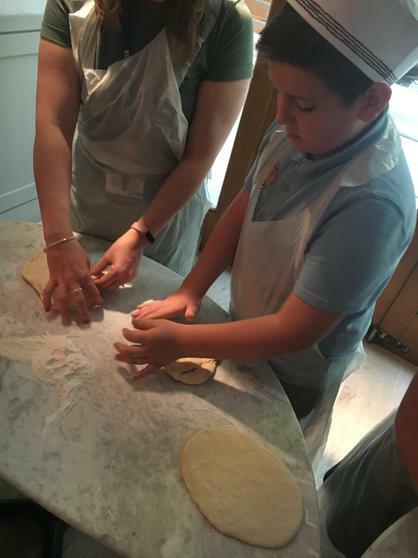 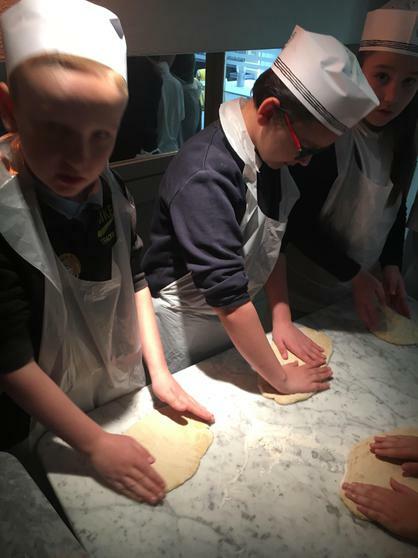 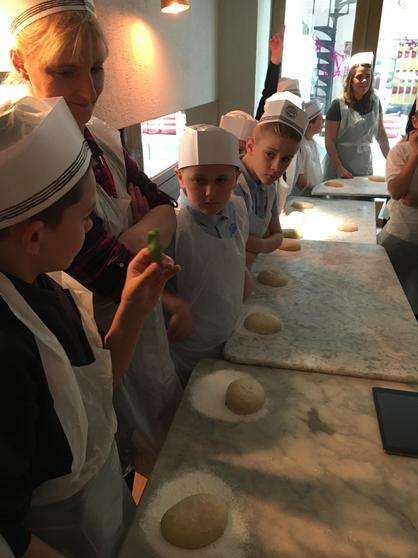 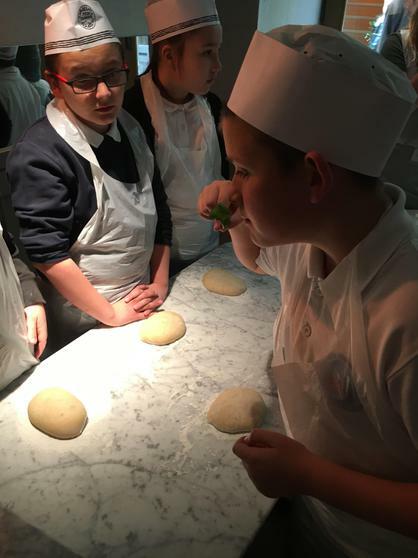 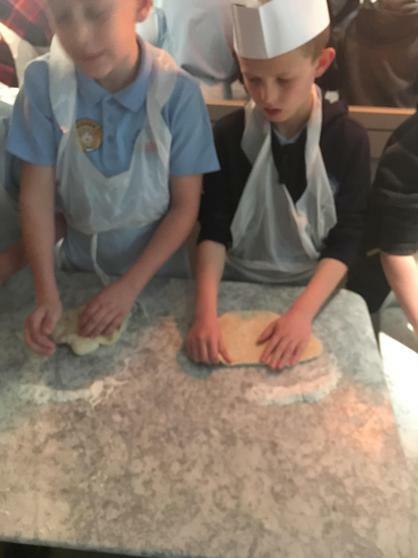 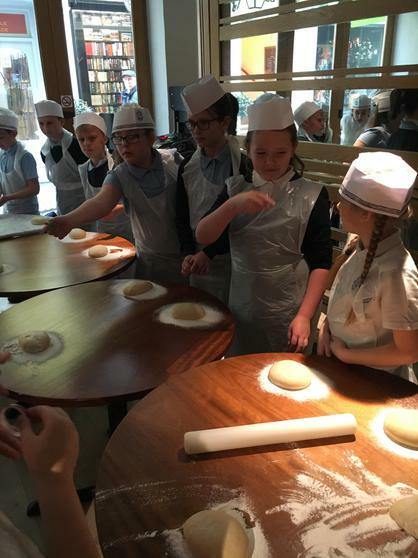 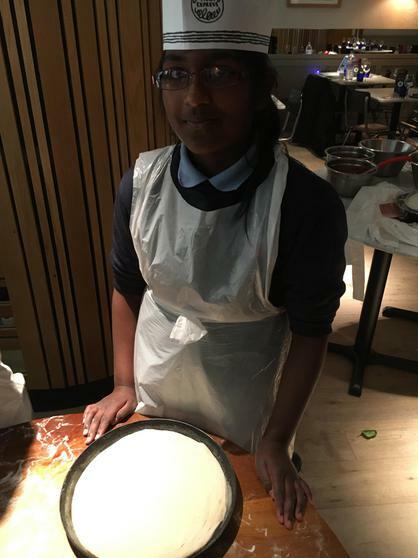 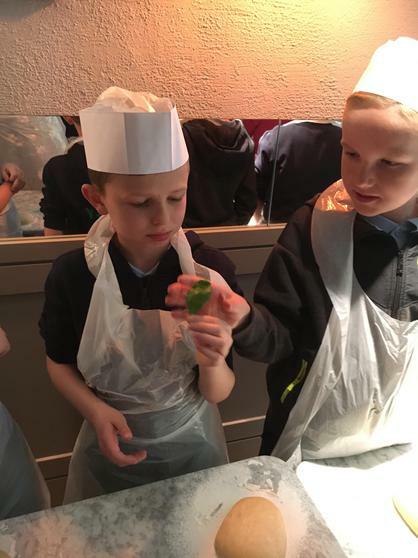 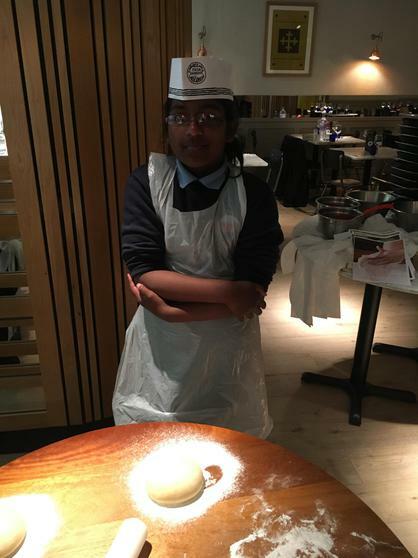 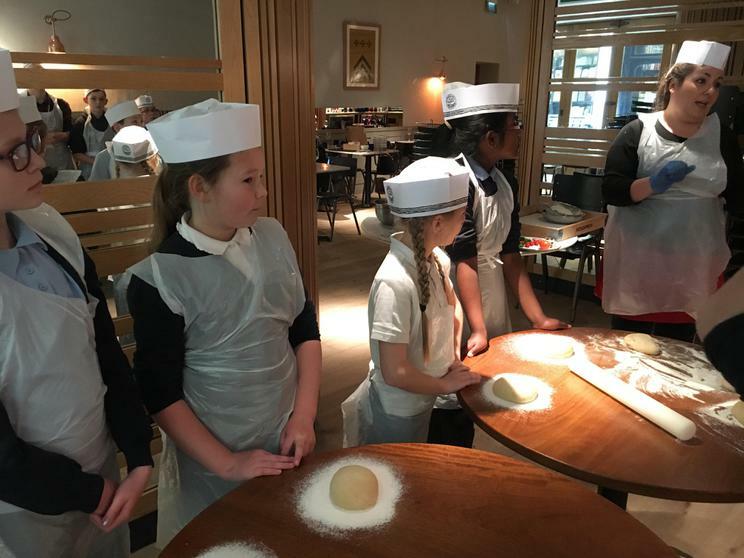 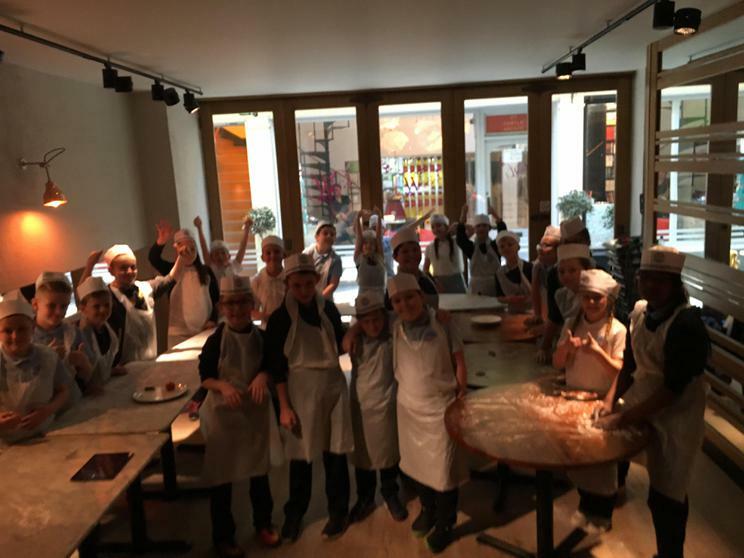 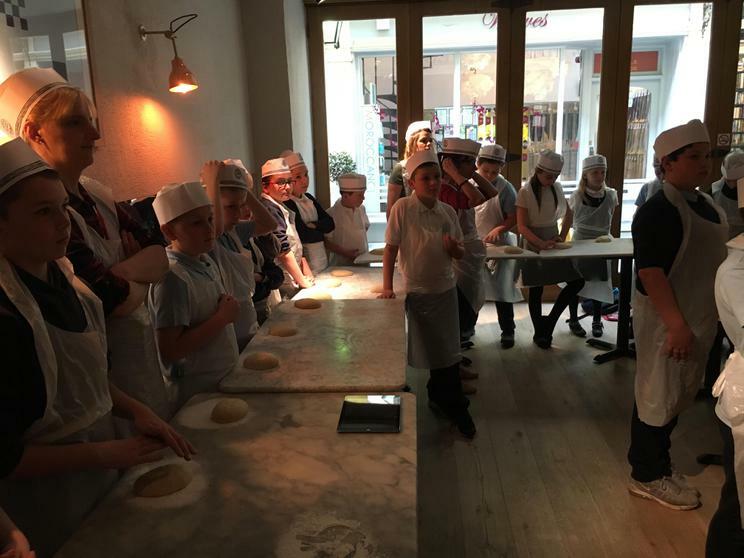 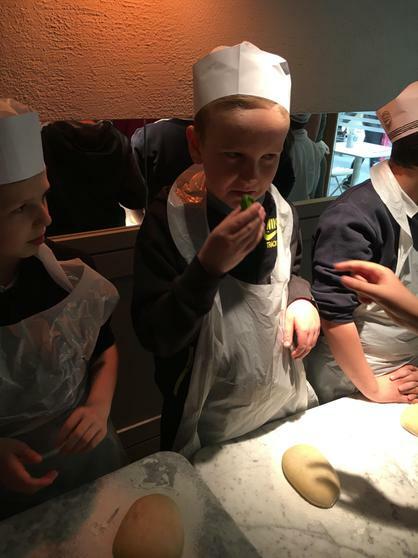 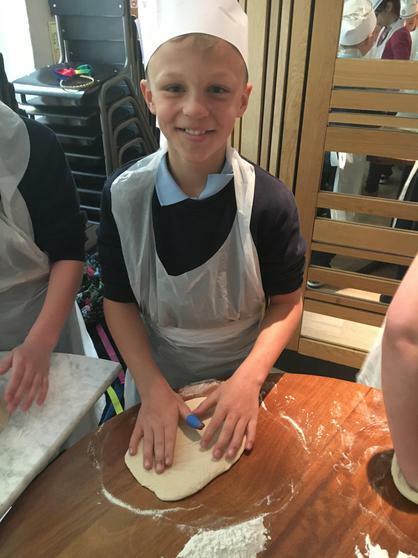 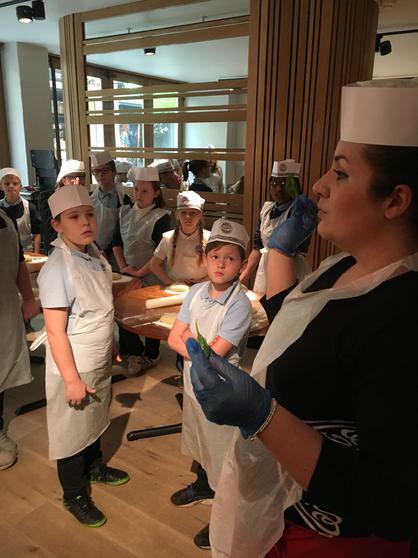 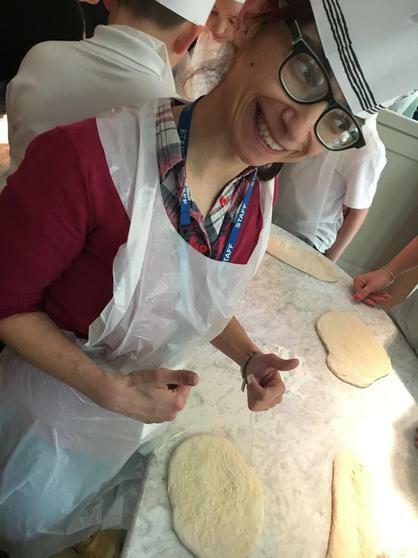 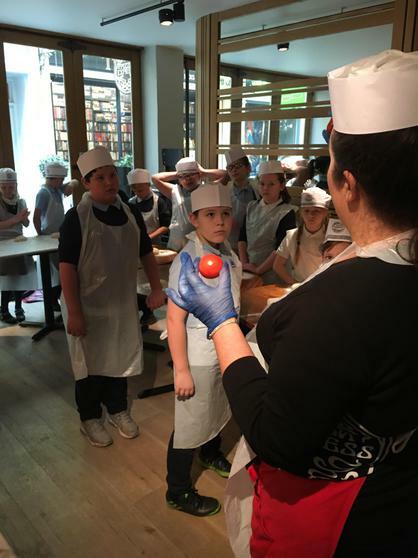 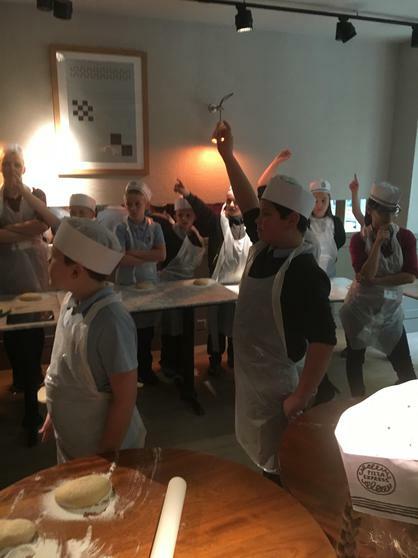 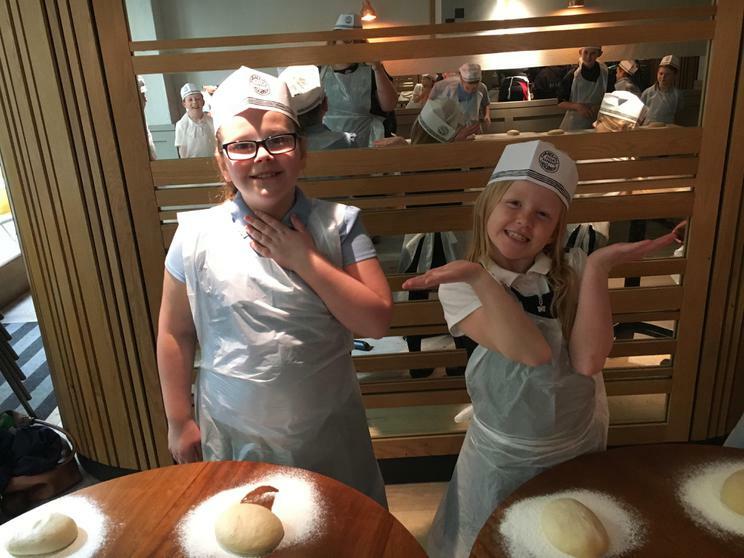 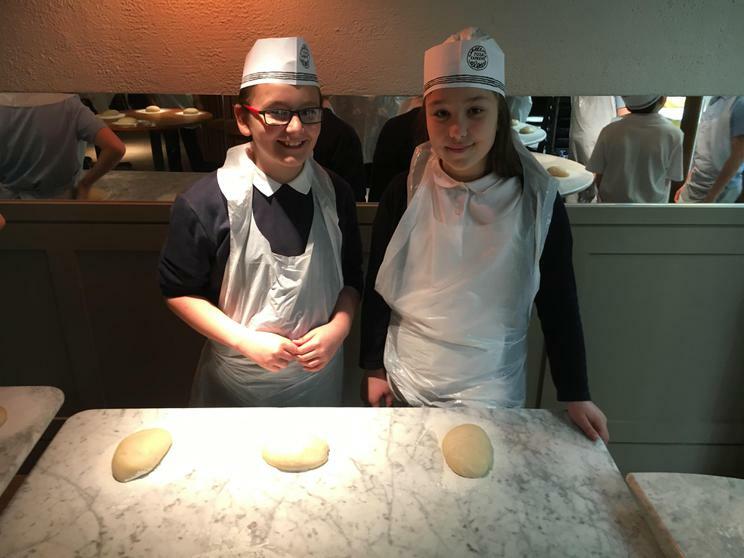 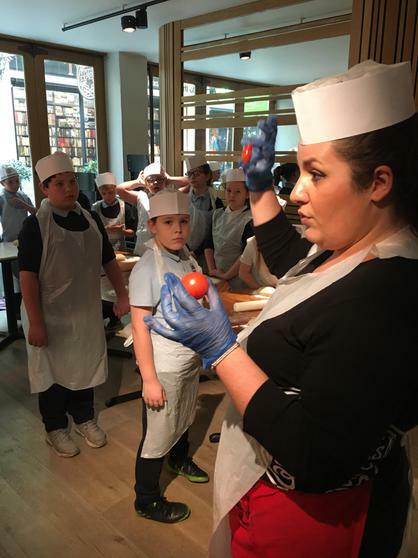 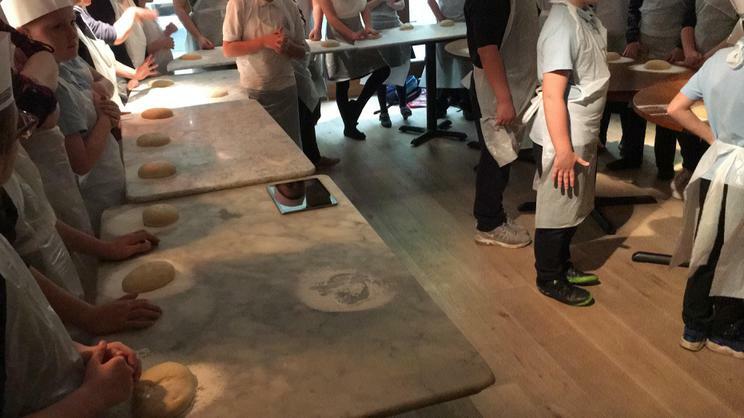 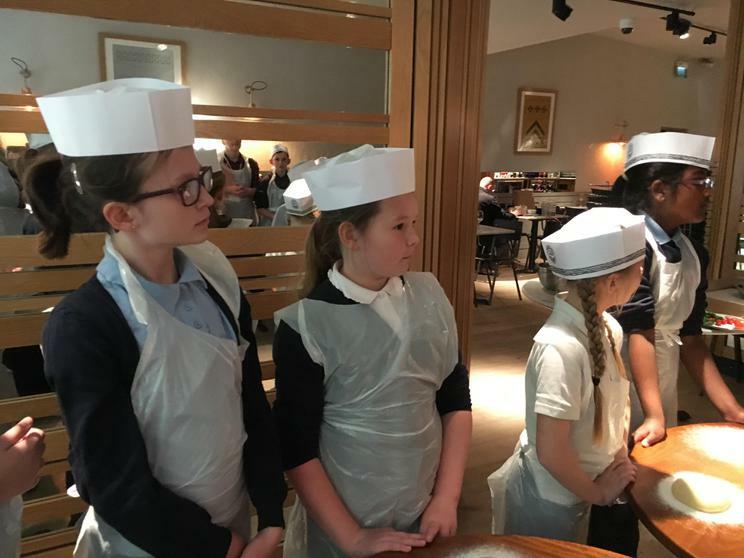 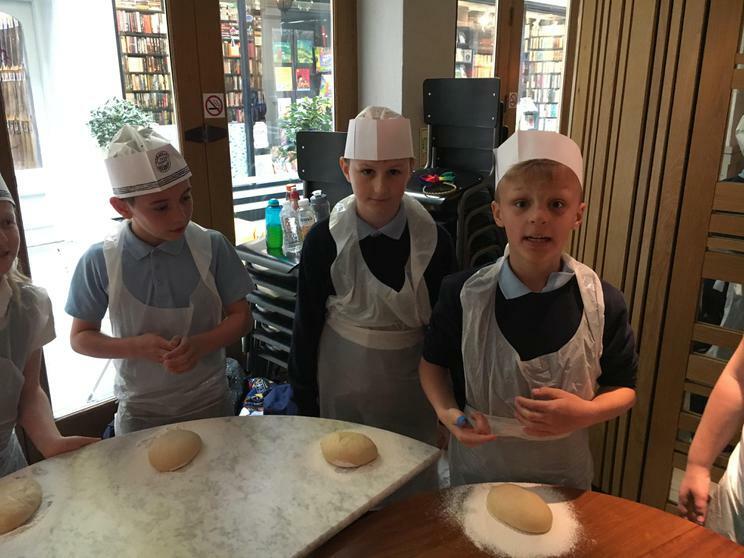 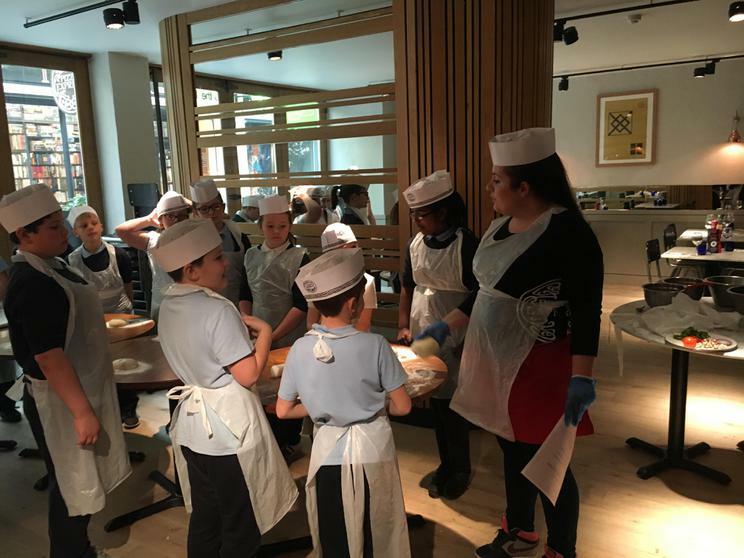 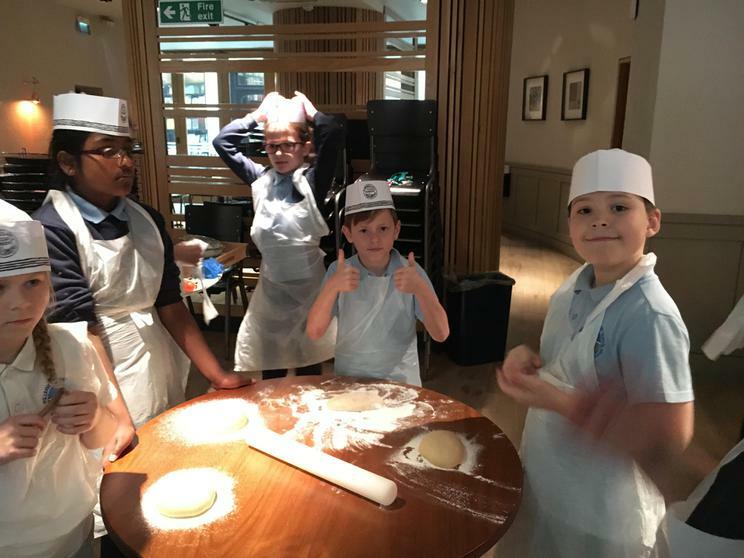 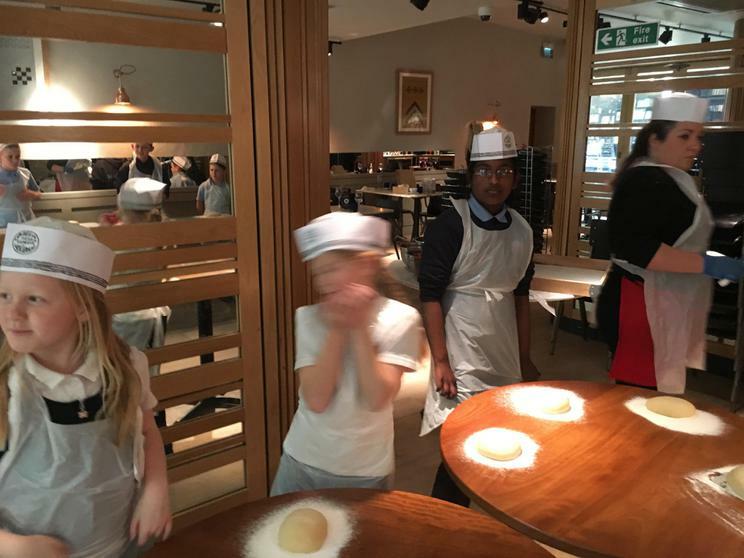 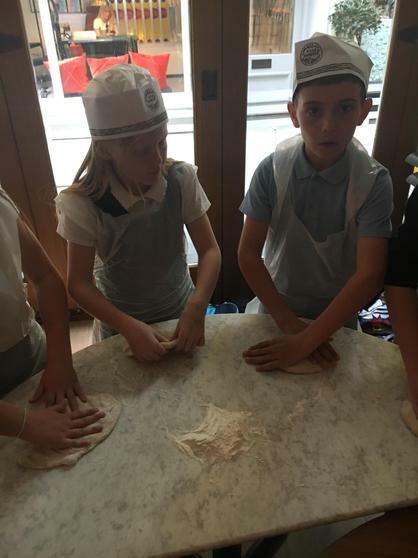 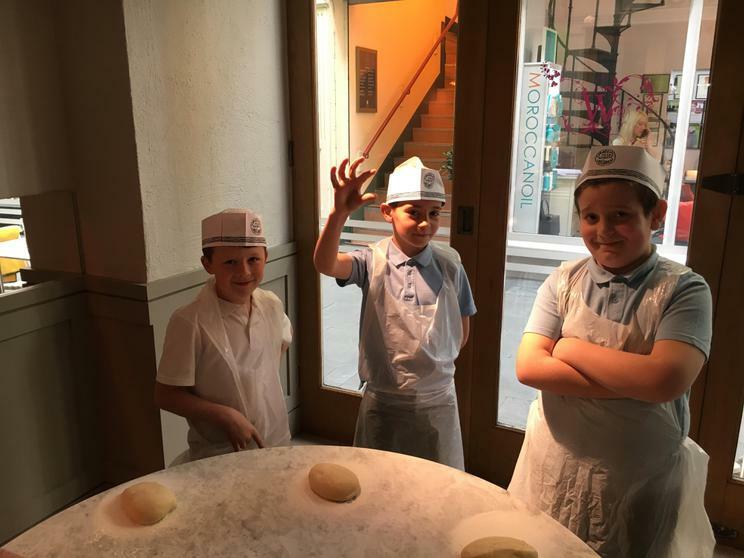 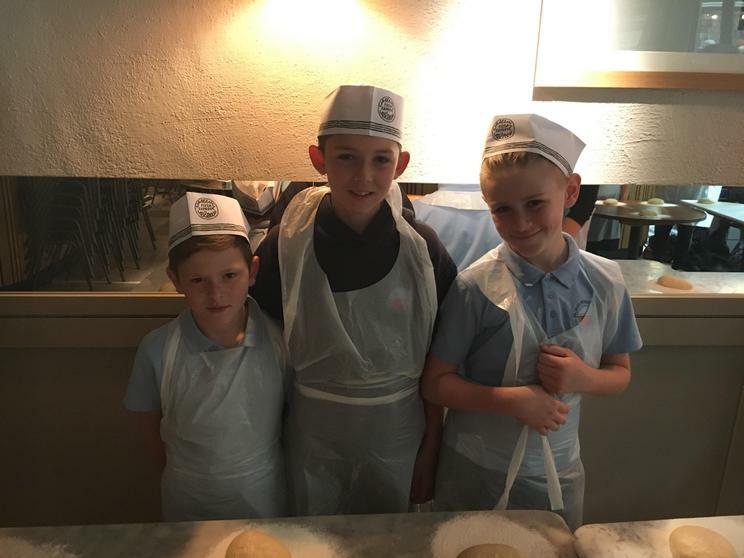 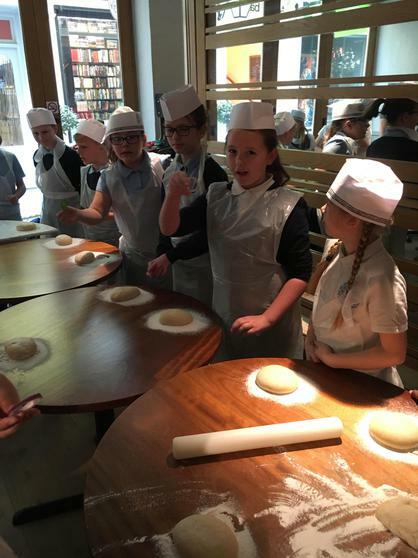 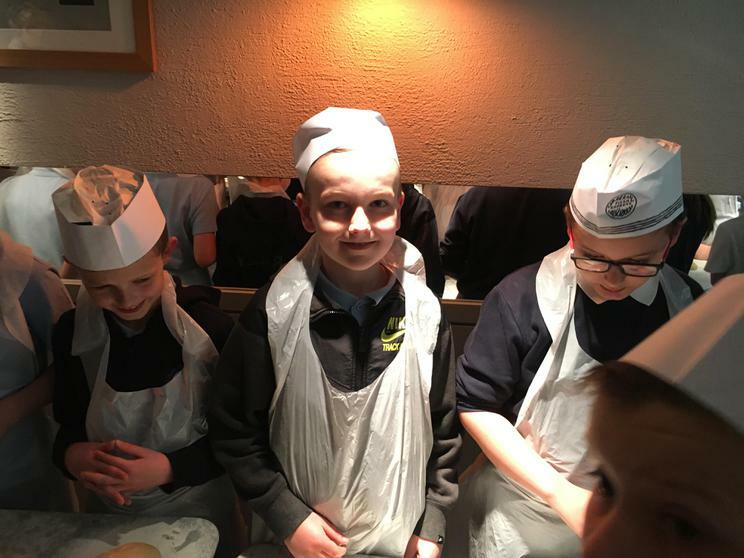 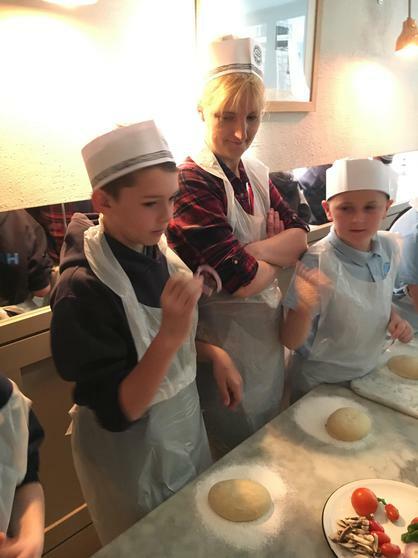 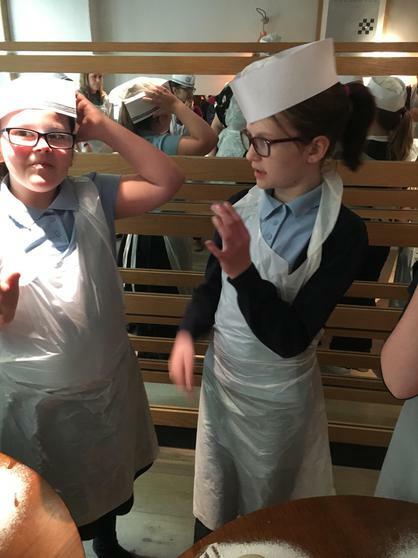 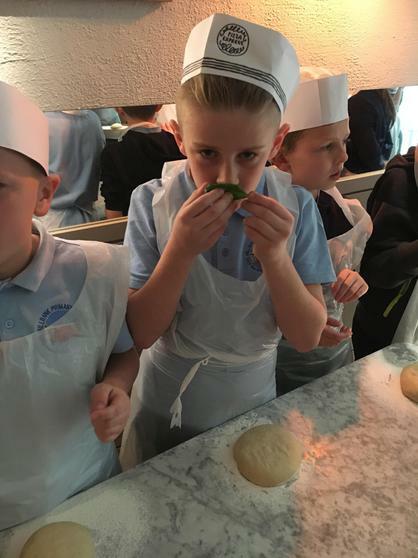 During our visit to Pizza Express we made irreversible changes to dough and cheese...........we also got to eat our pizza's! 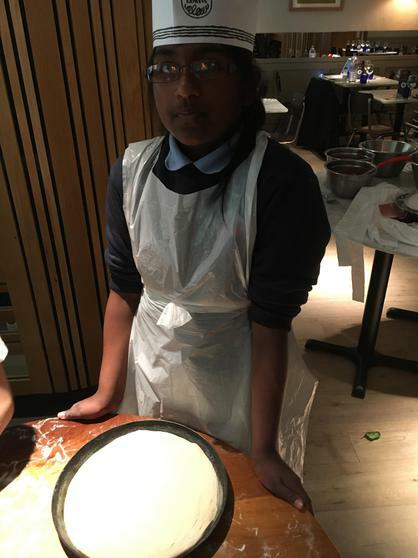 Who fancies cake? 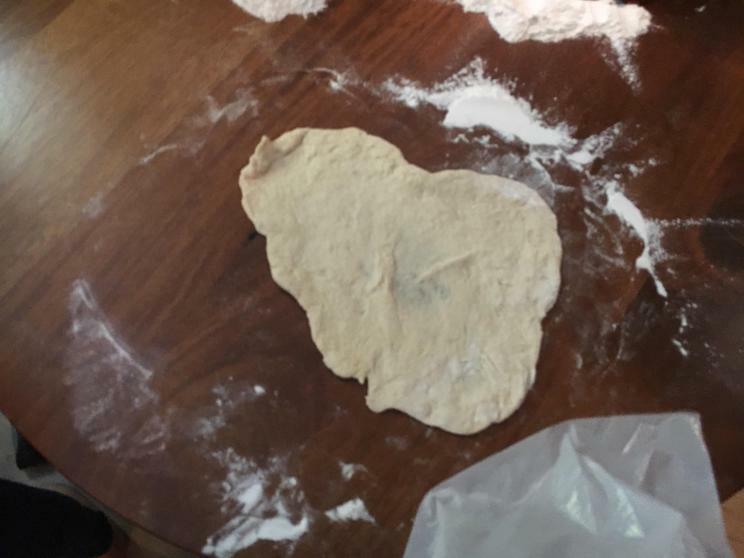 Somebody has been busy in ELSA! 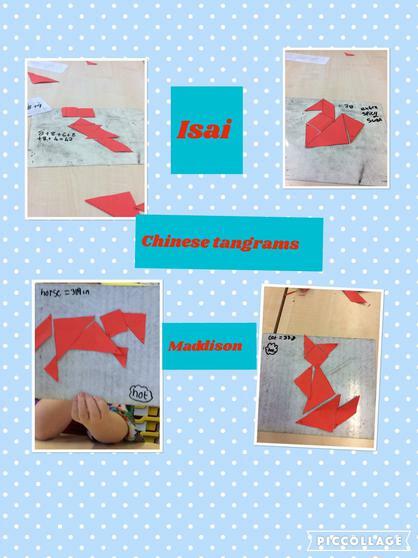 Using Pic Collage to display Fab Facts about Mt Everest!!! 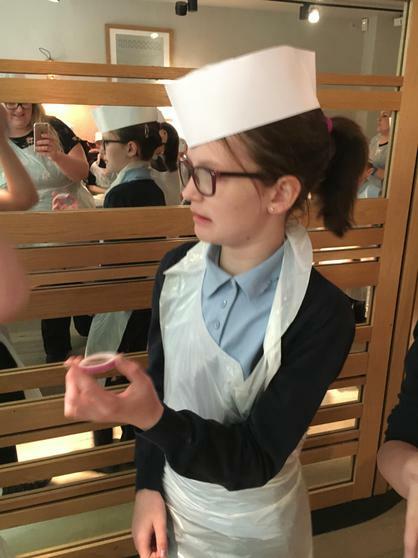 Today we talked as a group to make our own unique chocolate bar.Our lovely school council will be picking the best design and taste.we will be making are chocolate bar to taste for are selfs and we all hope we will enjoy are own chocolate.we hope are chocolate will be suitible for our school to have a taste.we will be considering the ingredients towards the chocolate bar because some children could have alegies. 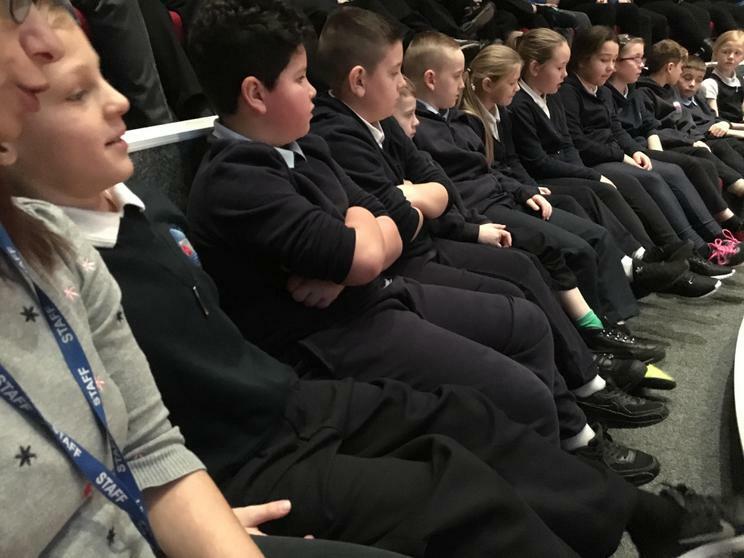 Welcome back to Millbank and welcome to Year 5. 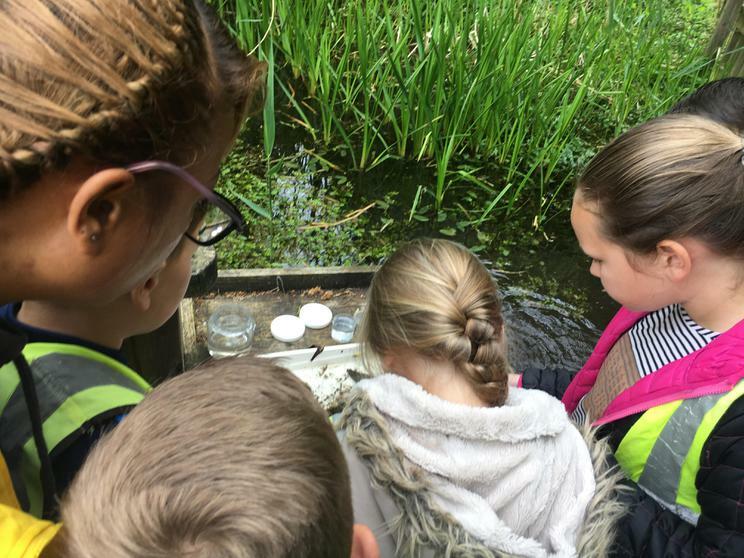 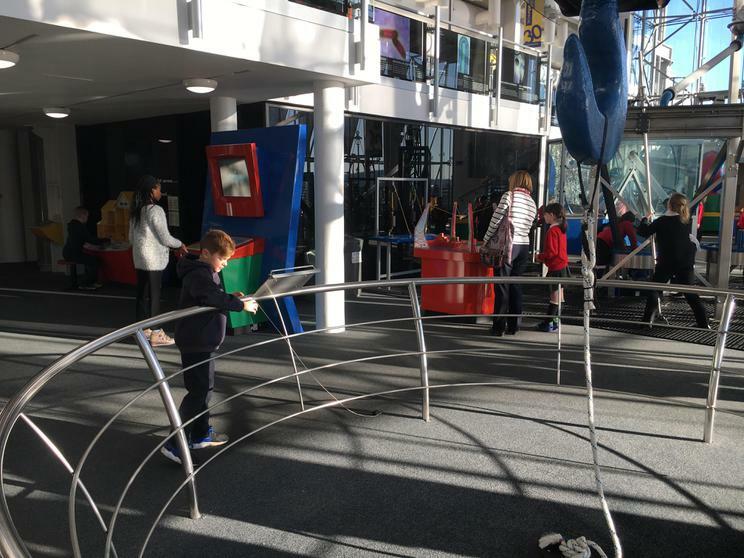 We hope that you have all enjoyed the Summer holidays and the children are ready for a busy half term full of exciting activities. 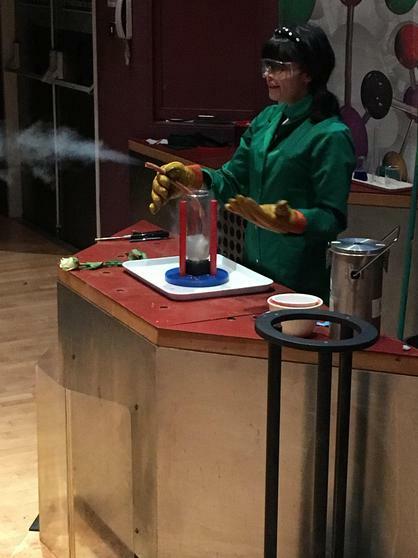 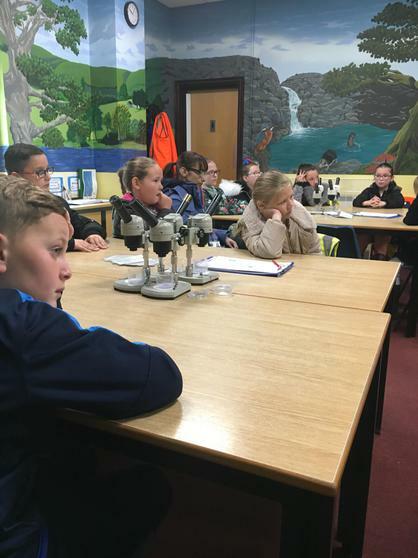 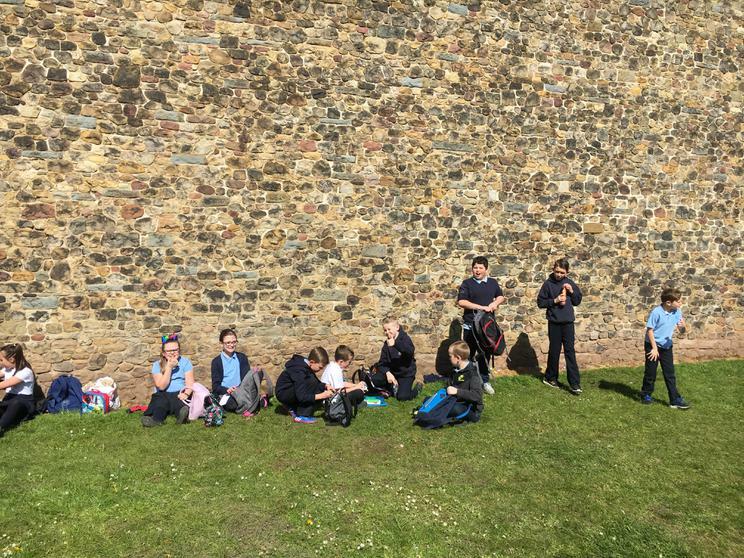 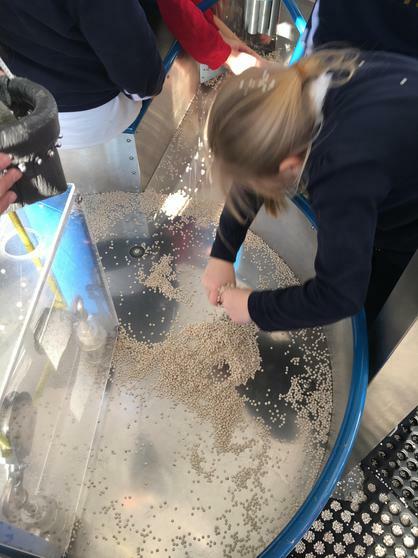 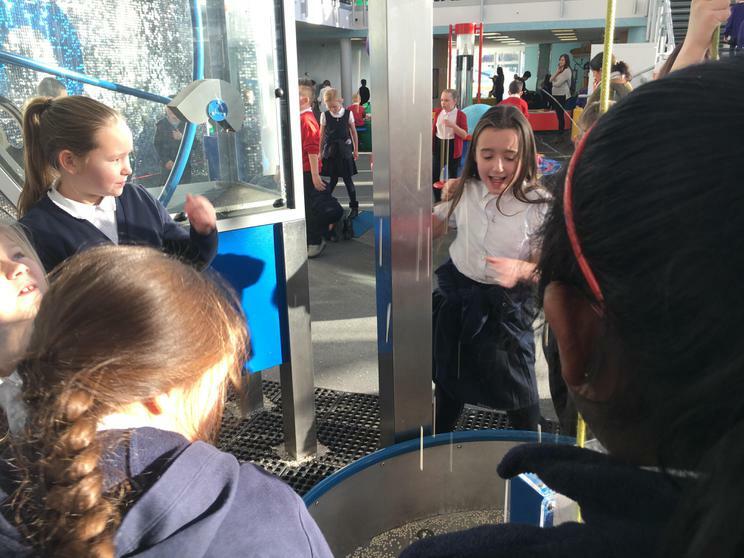 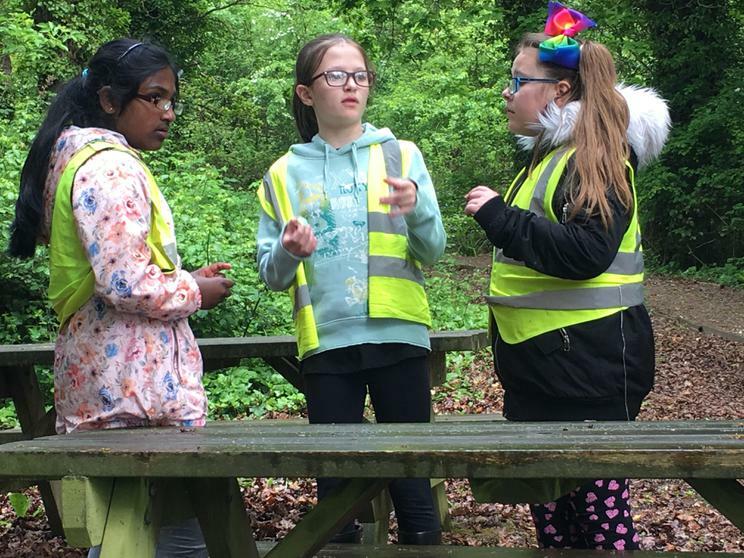 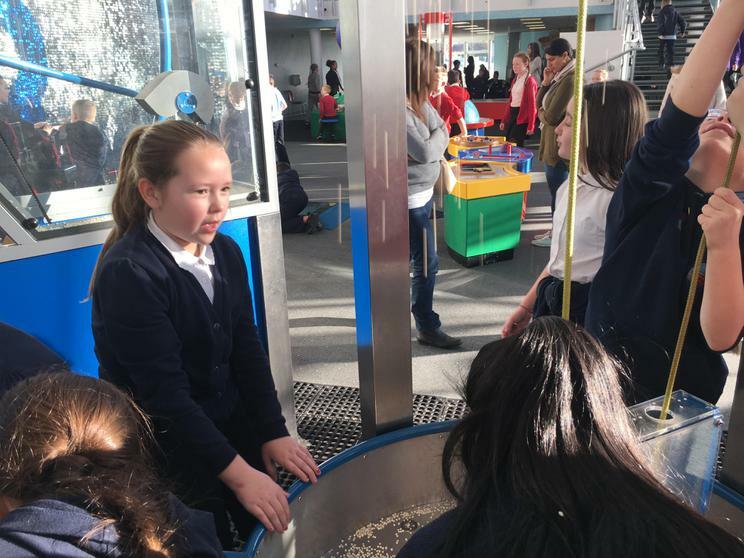 This year Year 5 will be taught by Ms C Francis (Deputy Headteacher) in the morning supported by Miss Griffin and Mrs C Brown (ALNCo) in the afternoon supported by Miss Hargadon. 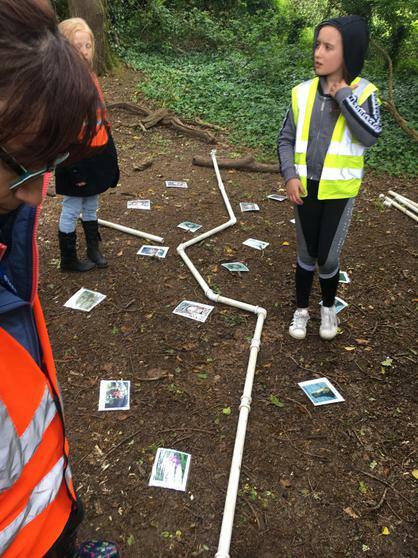 Our context for learning for this term is ‘Falling Fields’ This context is based on World War 1 and covers a wide range of areas of learning and will be very interesting and enjoyable for the children. 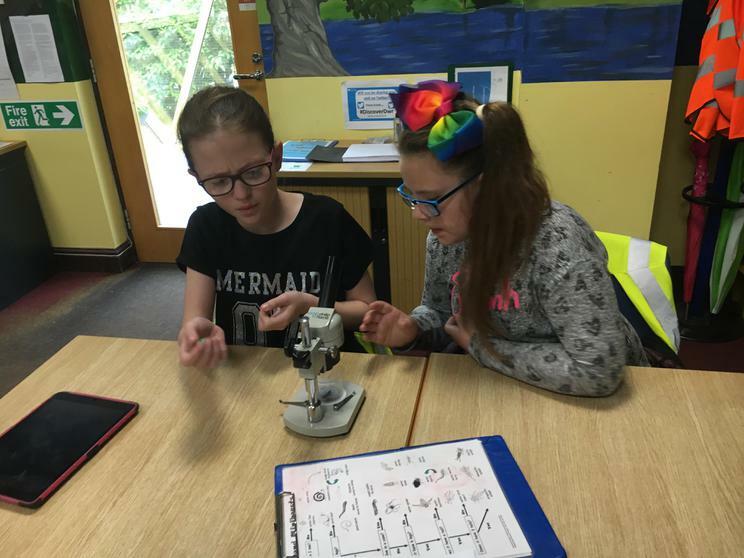 Ms Francis will be teaching Literacy and Numeracy in the mornings and Mrs Brown will be teaching Context, PE and Welsh in the afternoon. 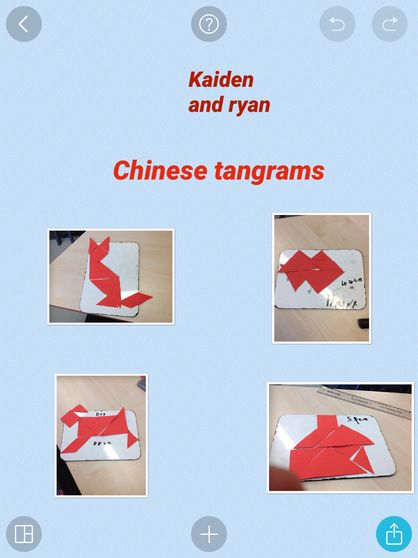 Along with Big Maths and Problem solving we will be demonstrating our Mathematical skills in our Context work. 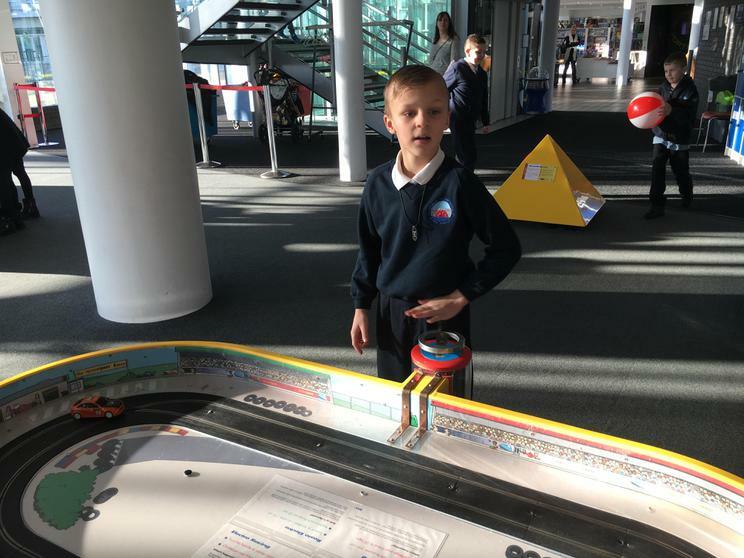 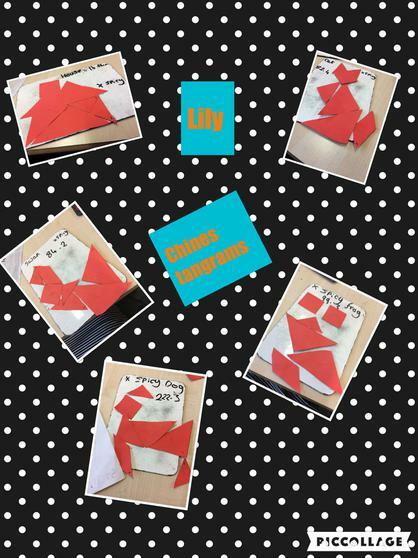 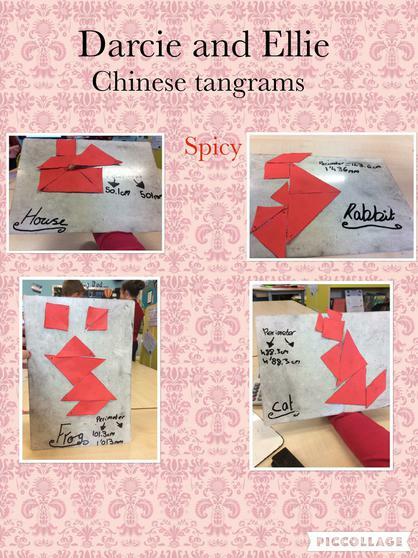 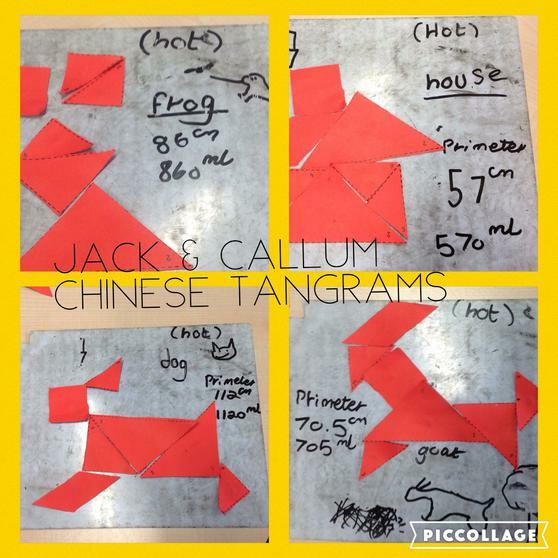 We will be covering the following topics…..
During the maths lessons we will be revisiting calculations, problem solving and place value. 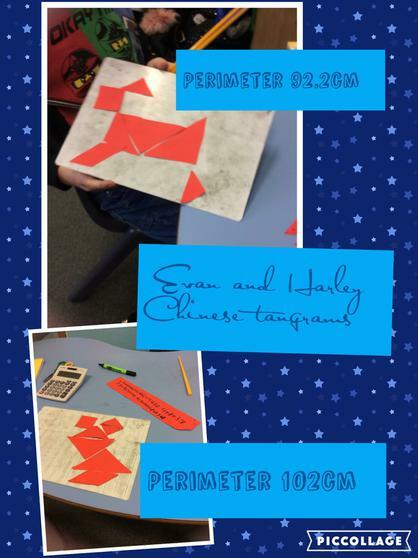 We will be working with decimals, percentages and their equivalent fractions. 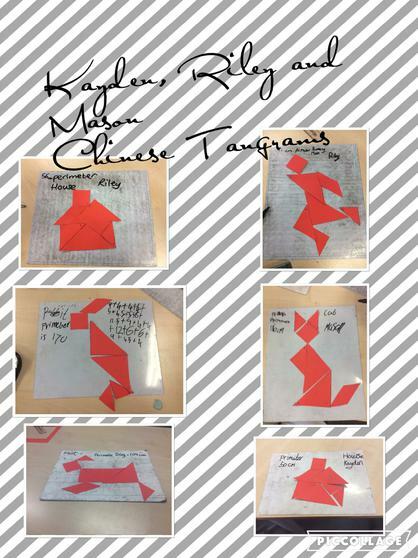 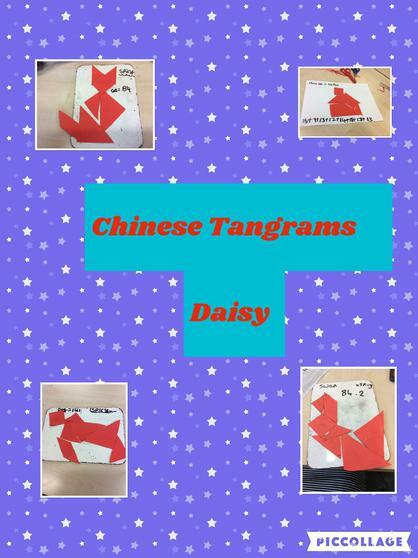 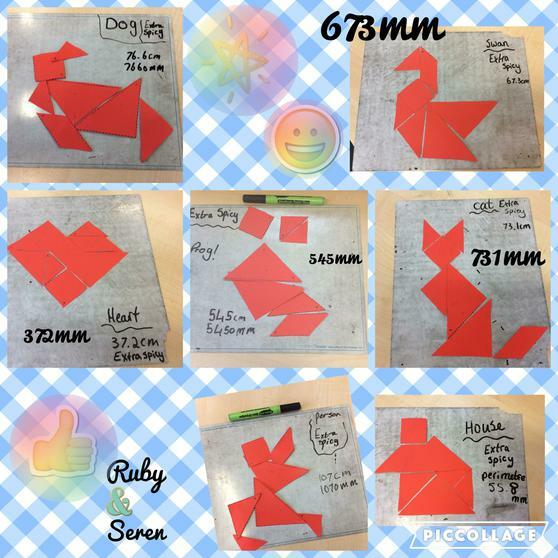 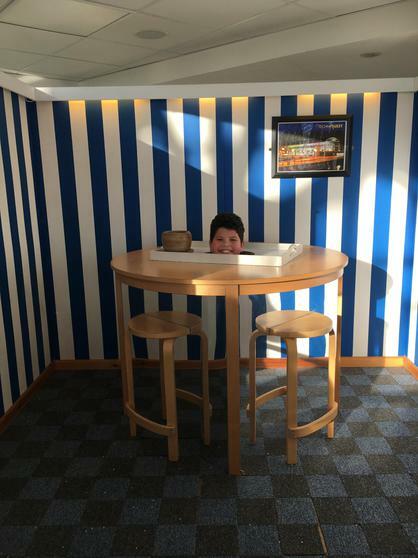 We will learn about ratios & proportions and the Geometry: properties of shapes. 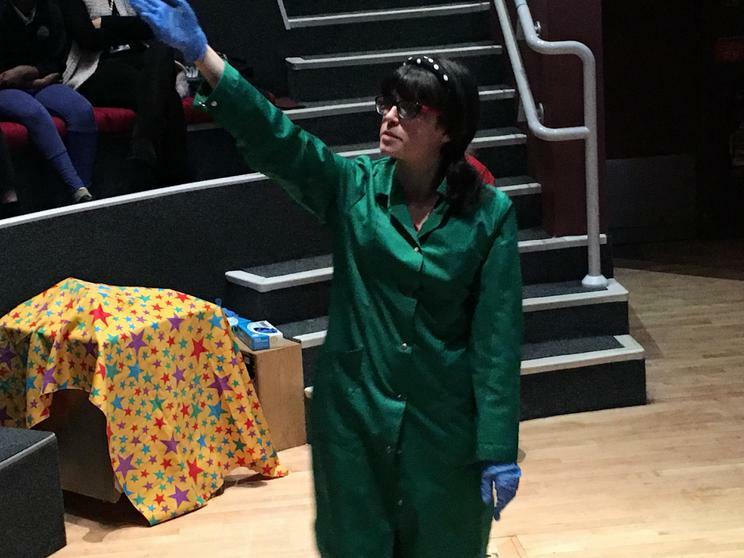 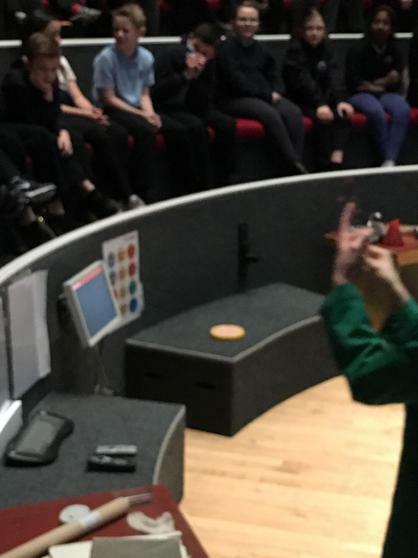 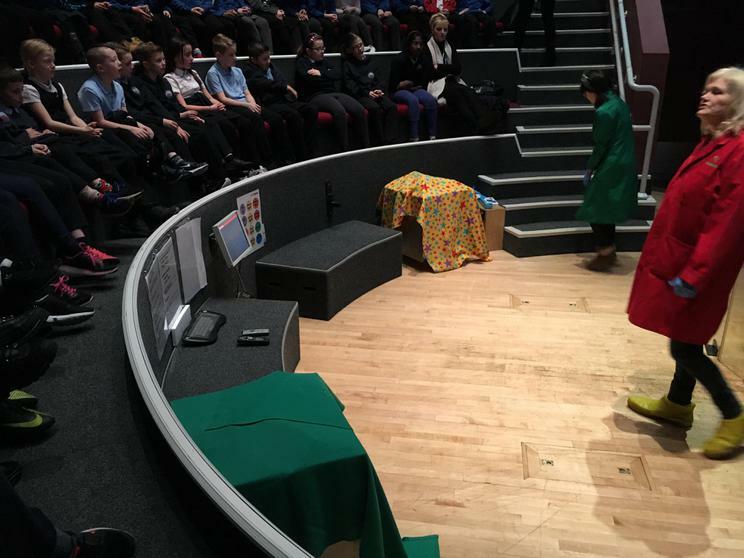 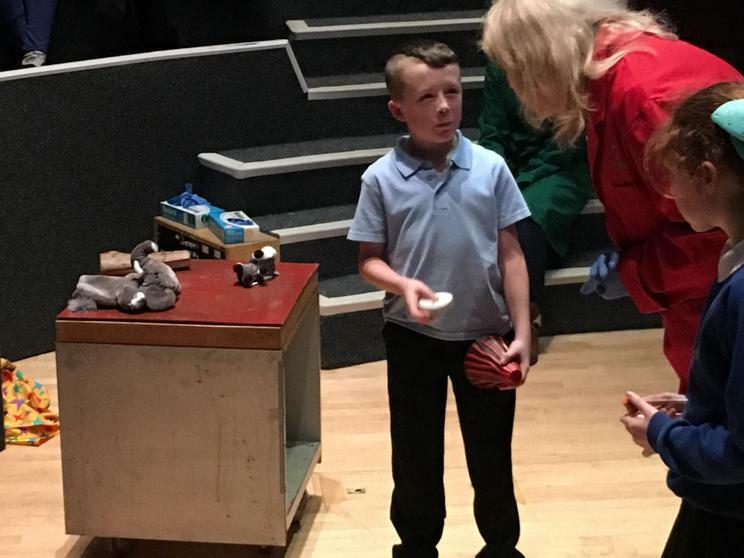 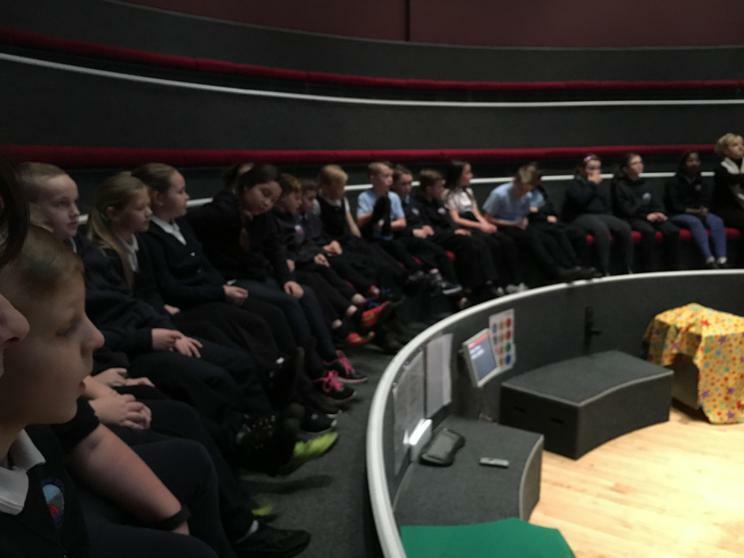 The Welsh National Opera will be working with Years 4 & 5 every Wednesday morning. 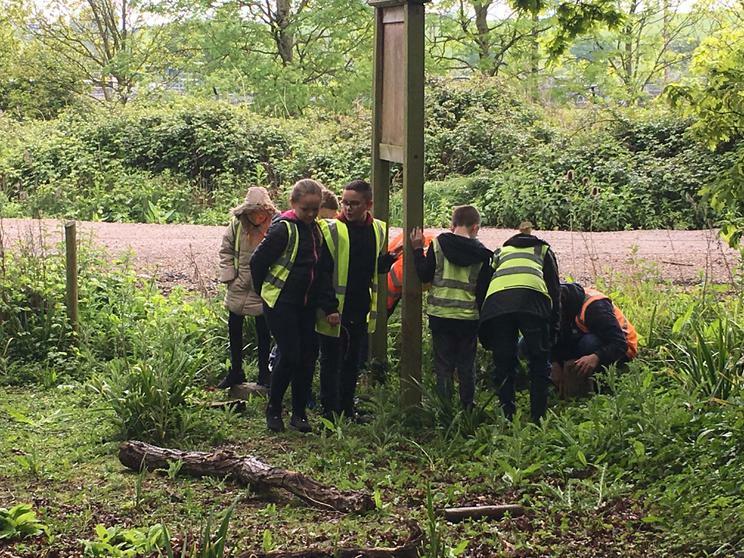 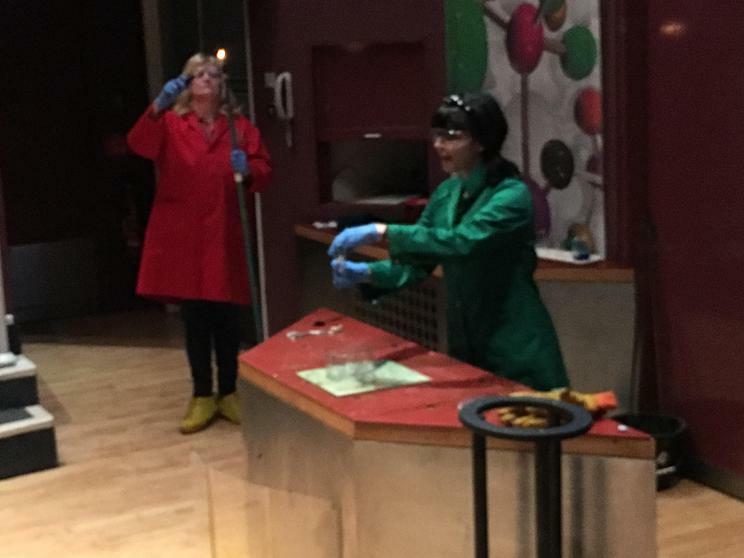 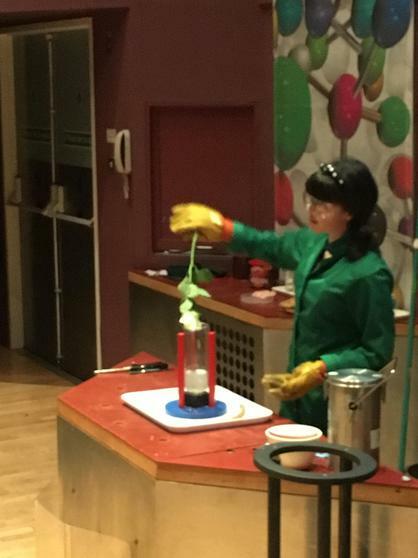 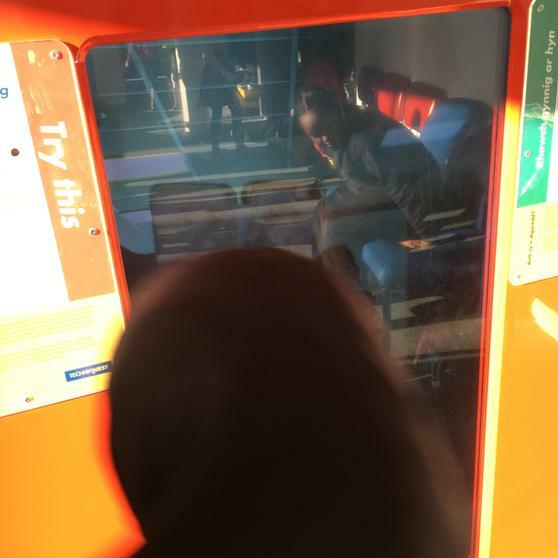 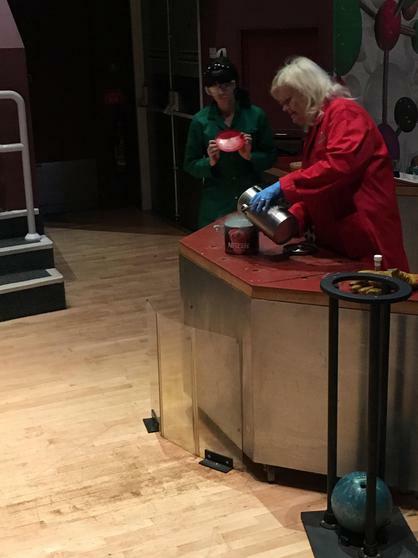 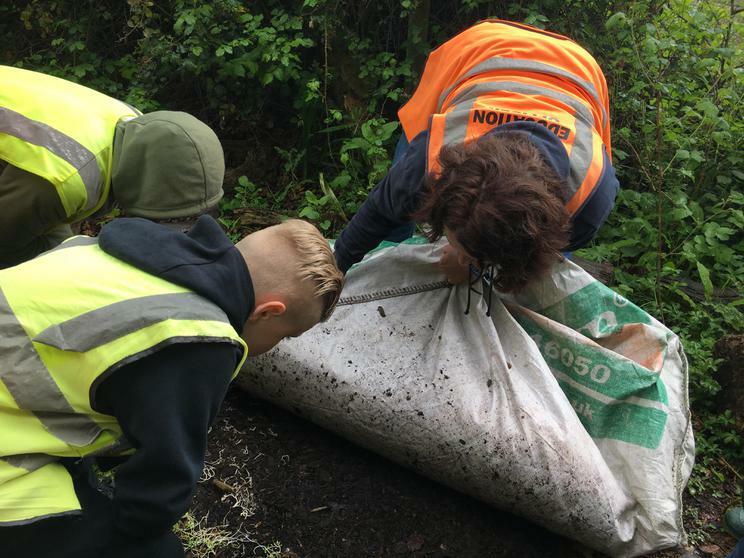 Please keep an eye out in the newsletter to see what they get up to. 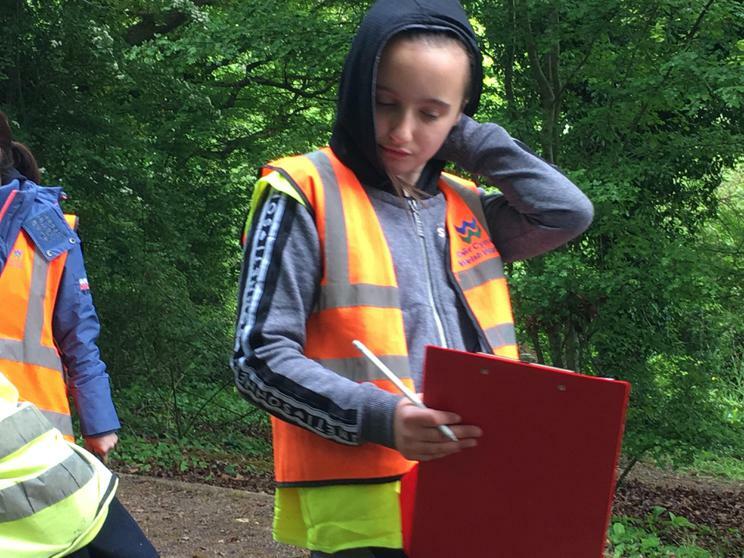 WE will be exploring tone and texture, lies and patterns by drawing and painting Poppy Fields, studying Trench Art and looking at the artistic style of Welsh artist Frank Brangwyn. 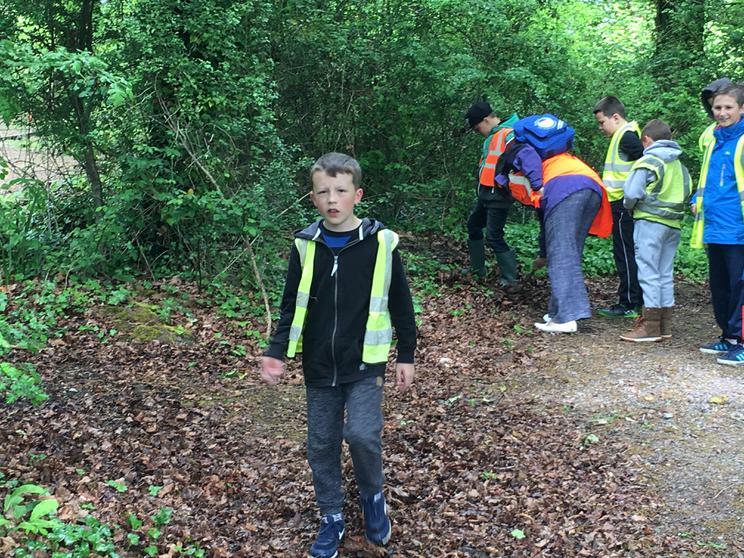 WW1 children collected fruit (blackberries) and other nuts for the war effort. 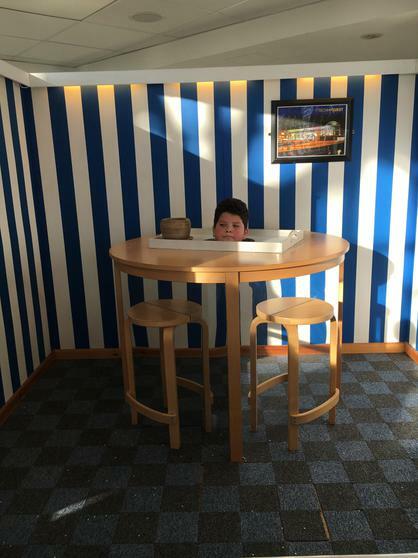 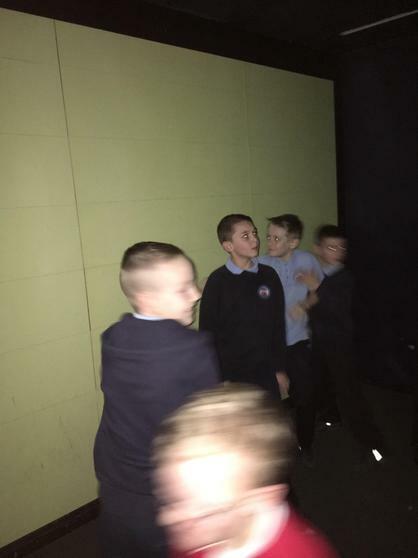 PLEASE BRING A P.E. 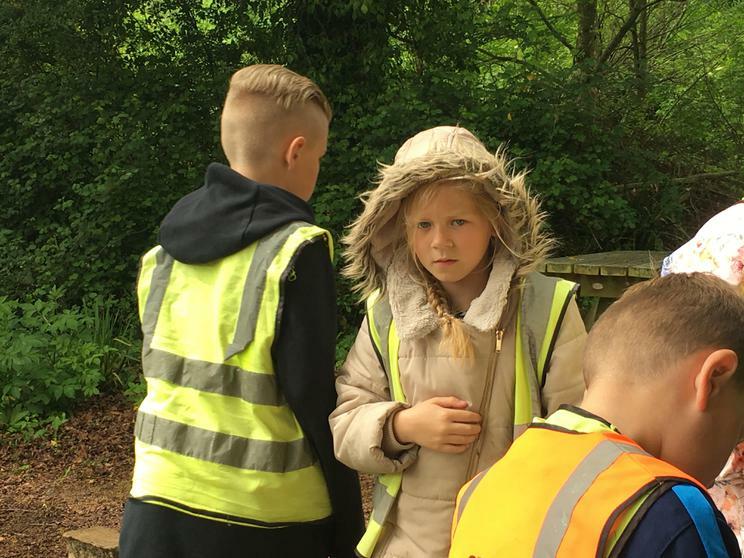 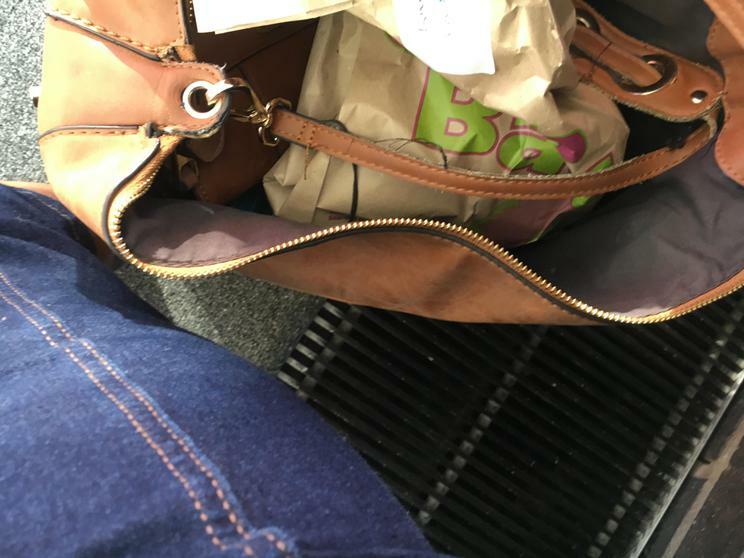 KIT INTO SCHOOL ON A WEDNESDAY AND A FRIDAY. 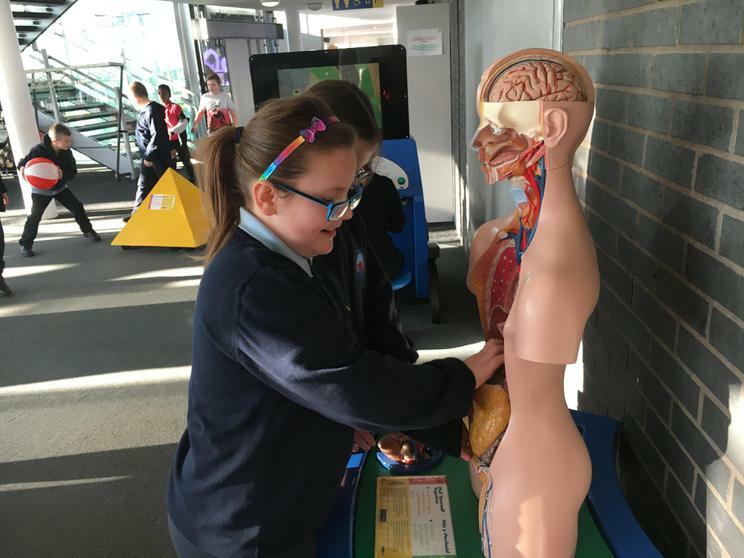 Please remember that PE is a legal requirement and we must have a note with a medical reason for your child not to take part. 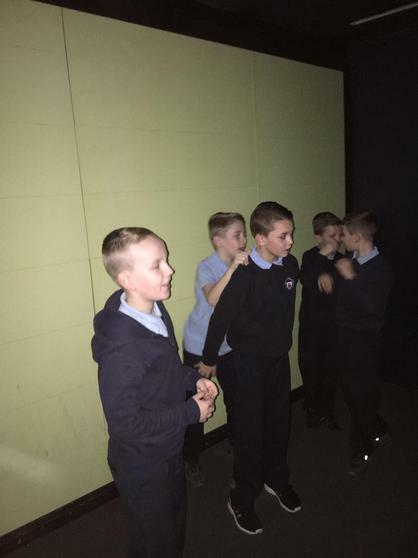 This term we will learning rugby skills and developing our footballs skills further. 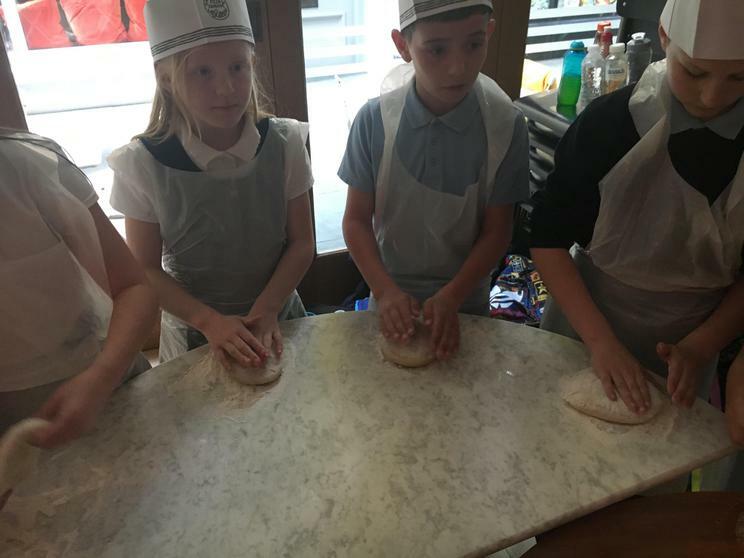 We will be using a variety of skills during the afternoons whilst learning about WW1. 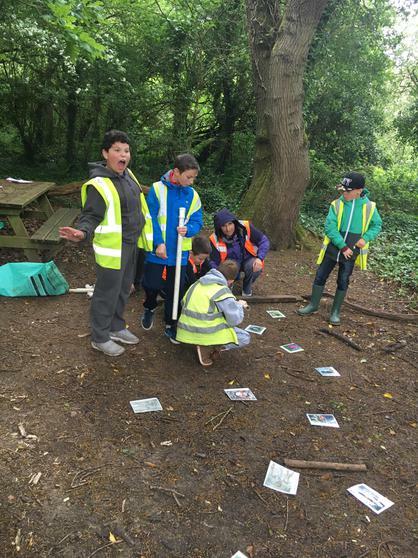 We are planning to create a timeline of event and learn about the key historic figures. 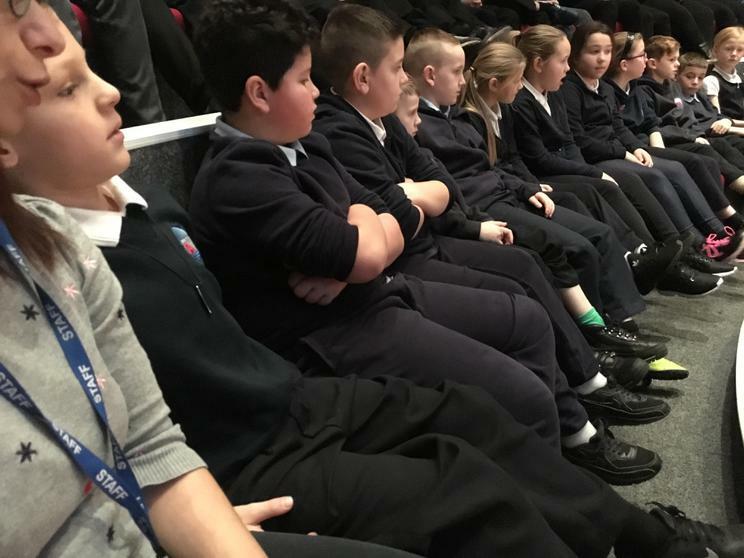 We will look at the historic events especially the Battle of Somme. 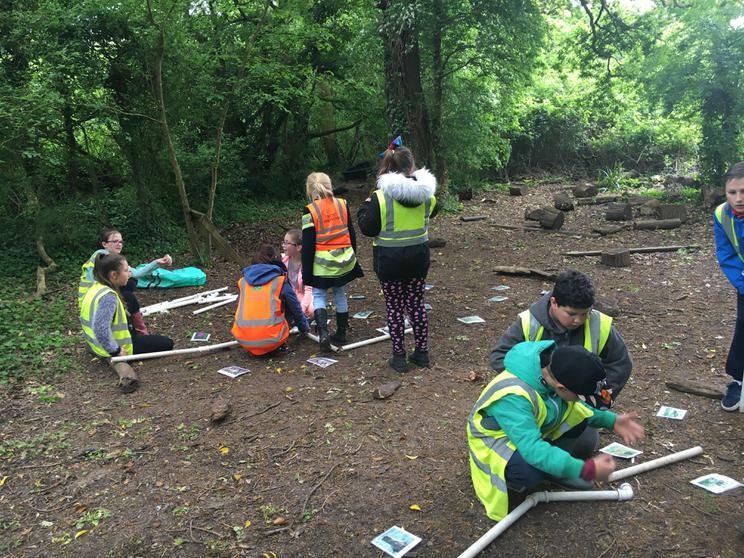 We will investigate the long-term impact the war had on the people of Wales and what life was like for the soldiers in the trenches. 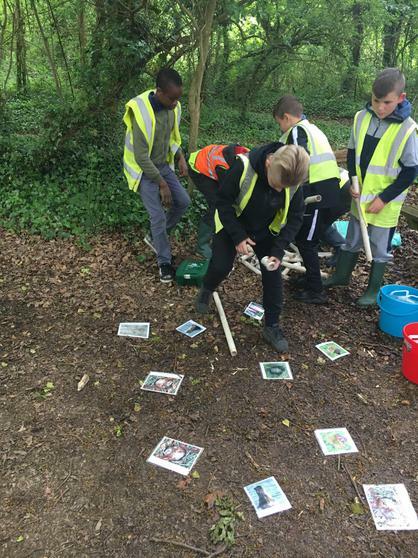 Geography— We will be looking at maps of Europe and how the countries changed after the war. 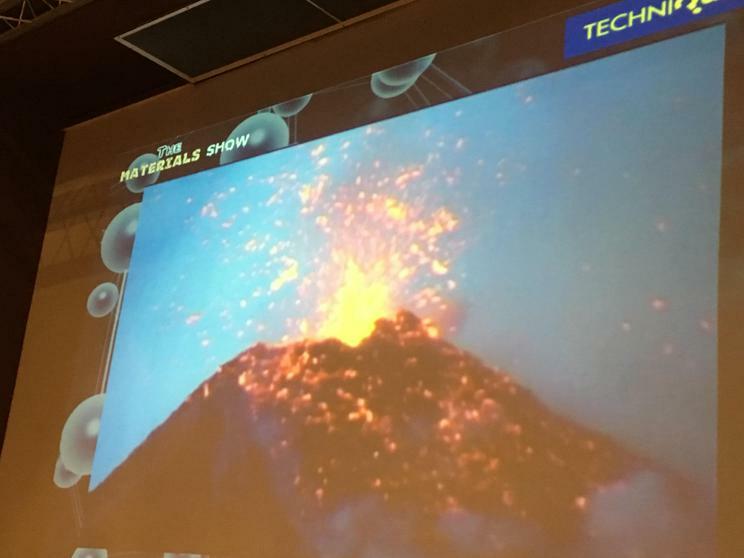 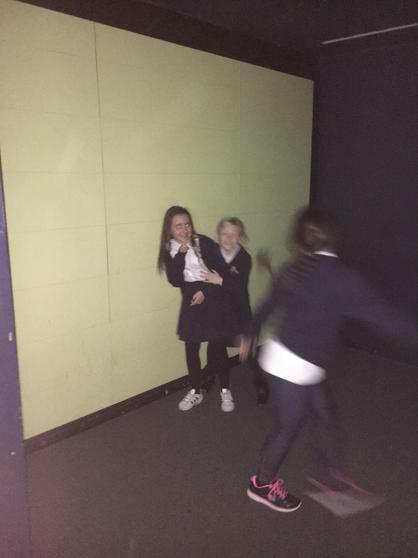 We will be investigating forces. 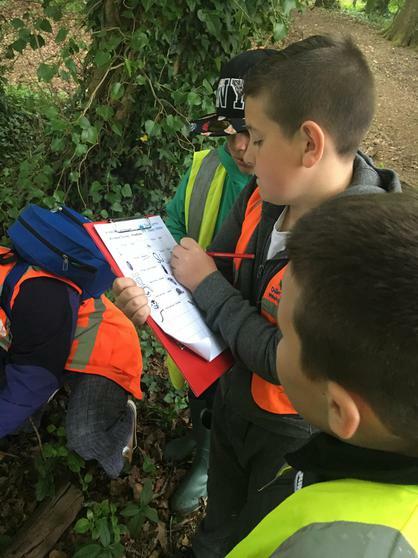 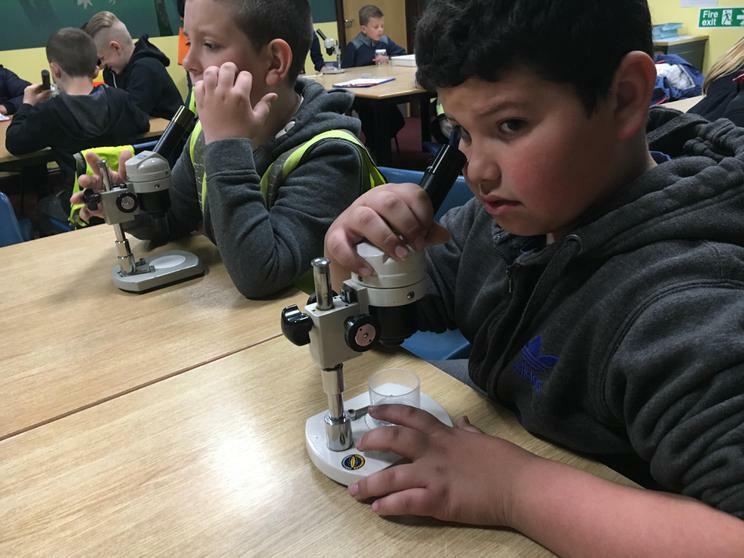 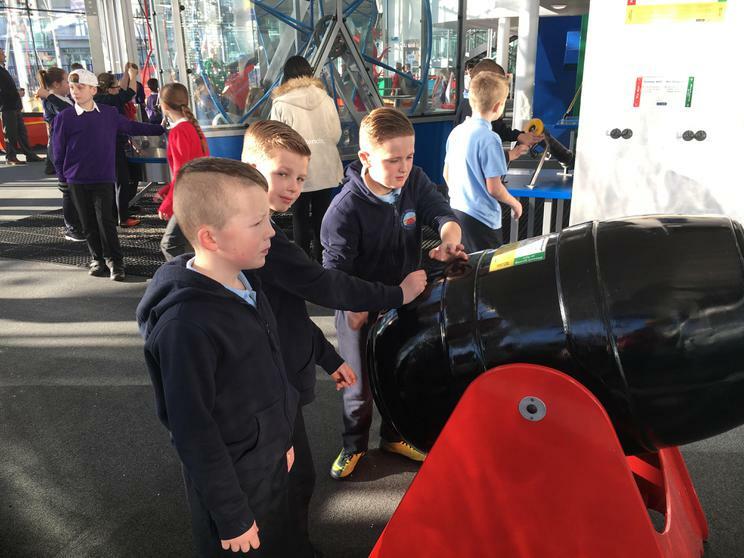 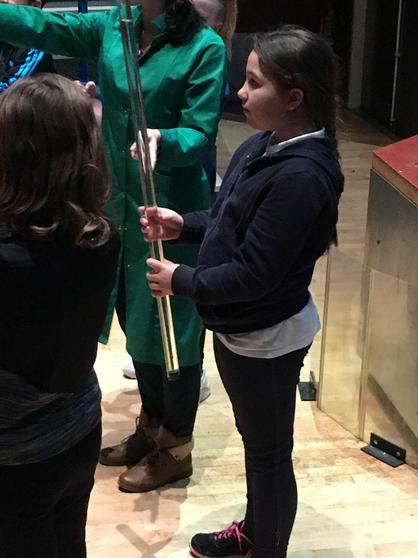 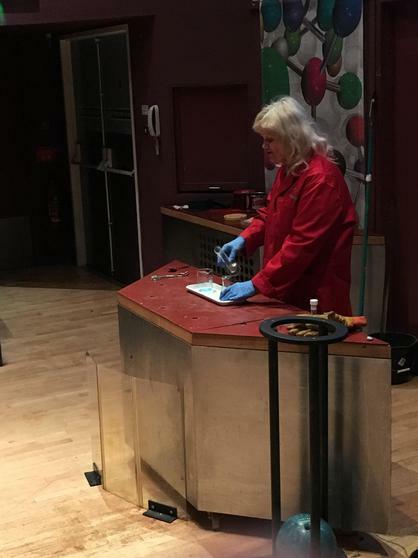 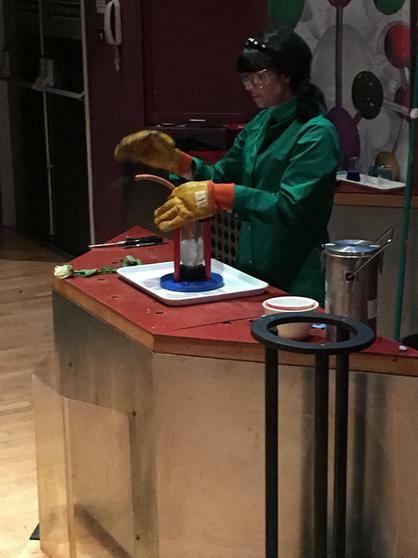 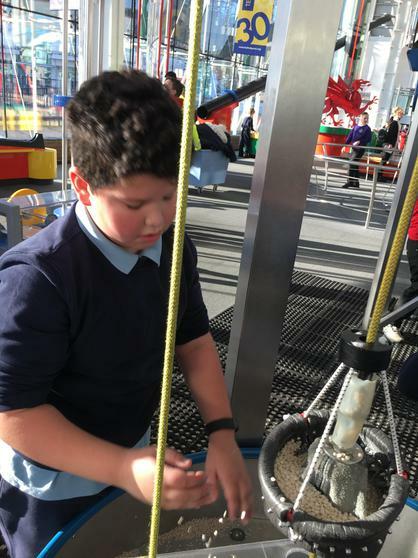 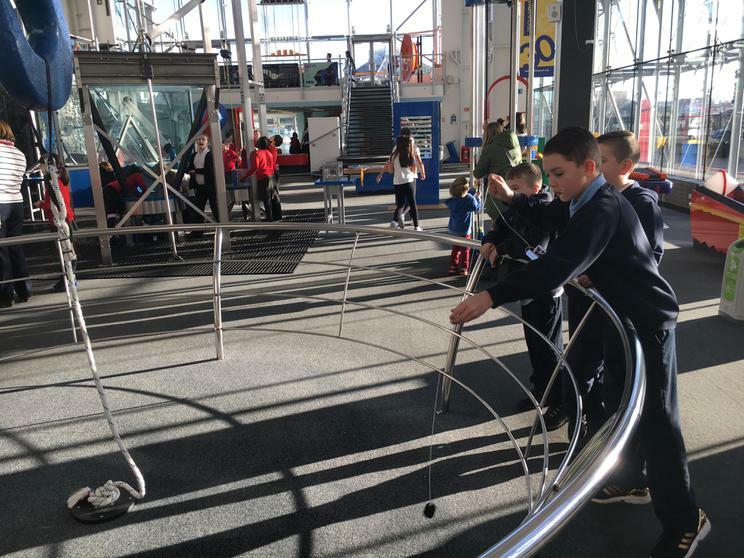 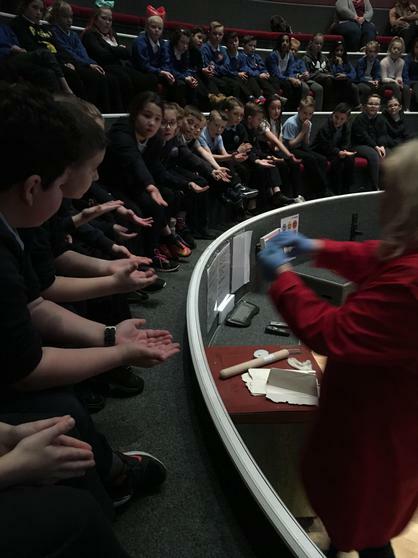 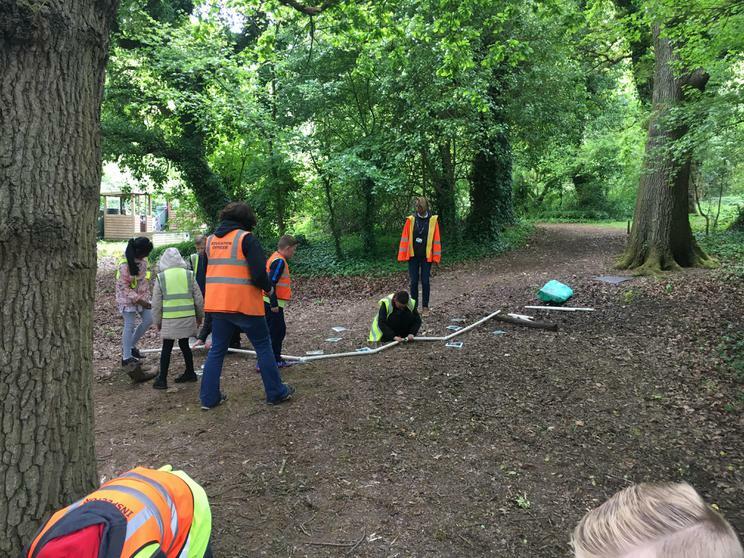 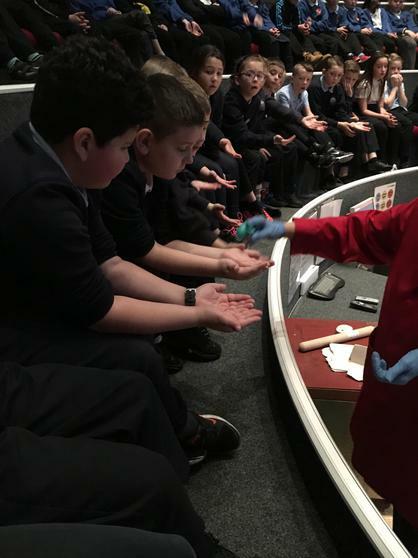 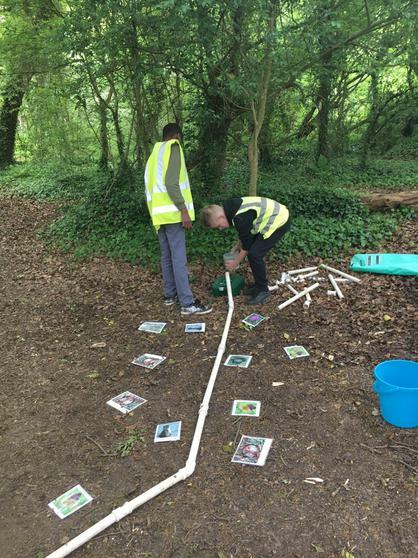 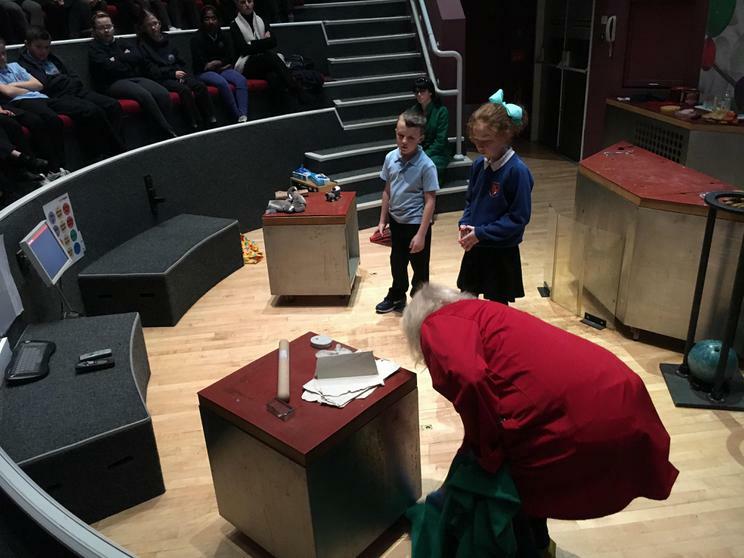 As a class we will plan and carry out investigation and use apparatus and equipment correctly.